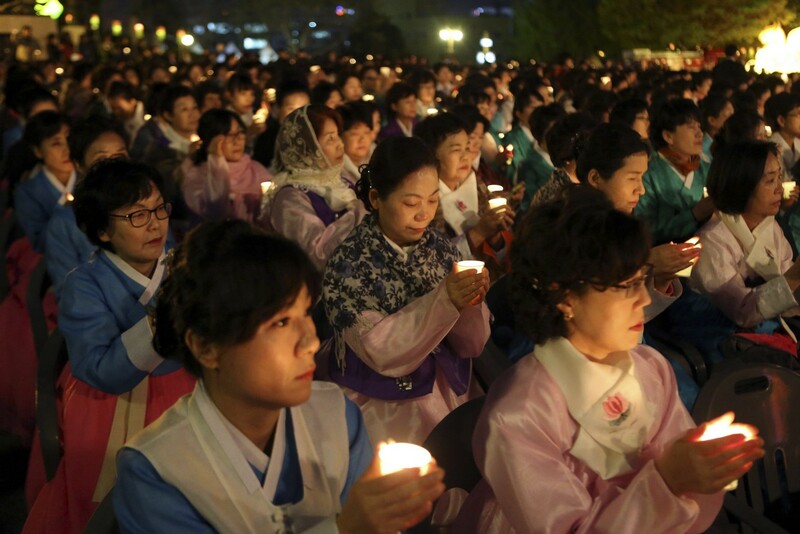 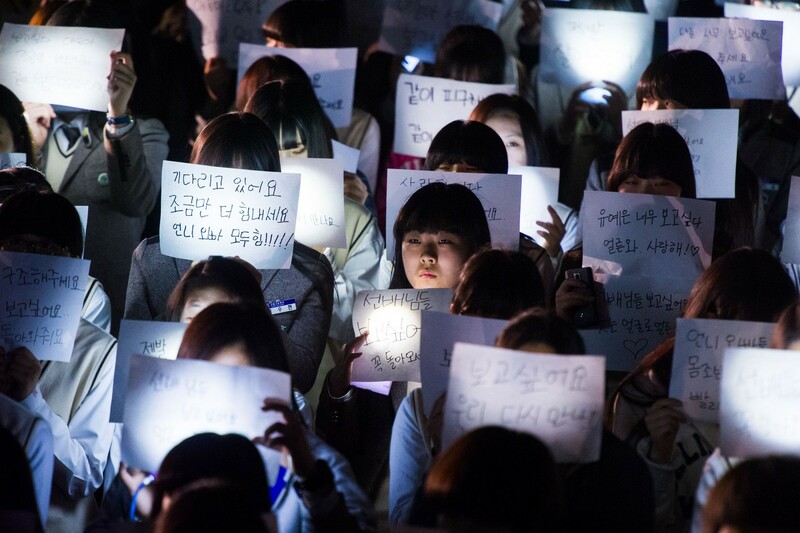 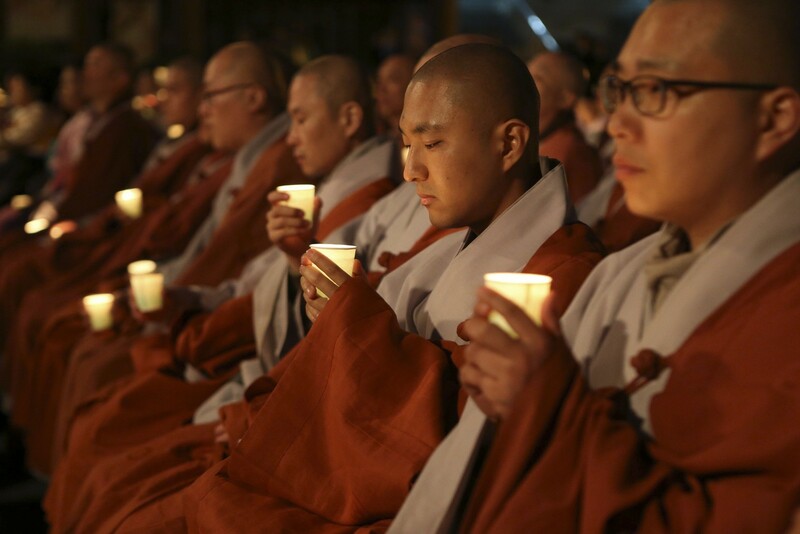 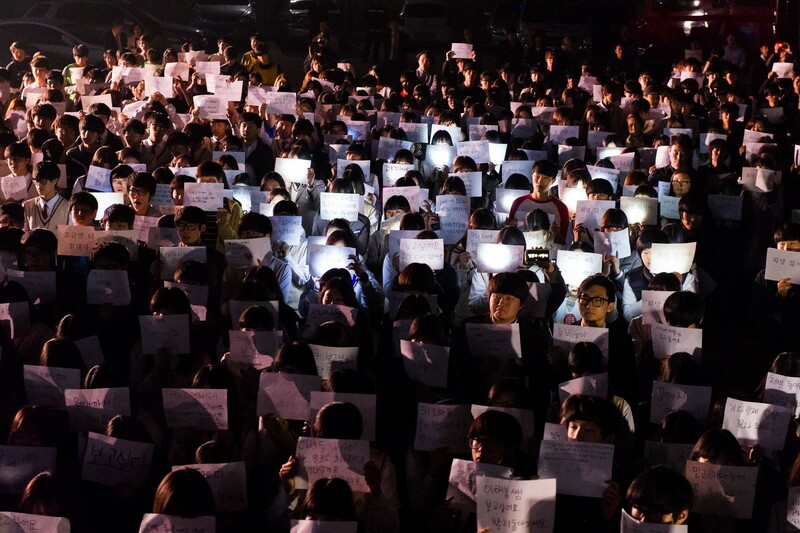 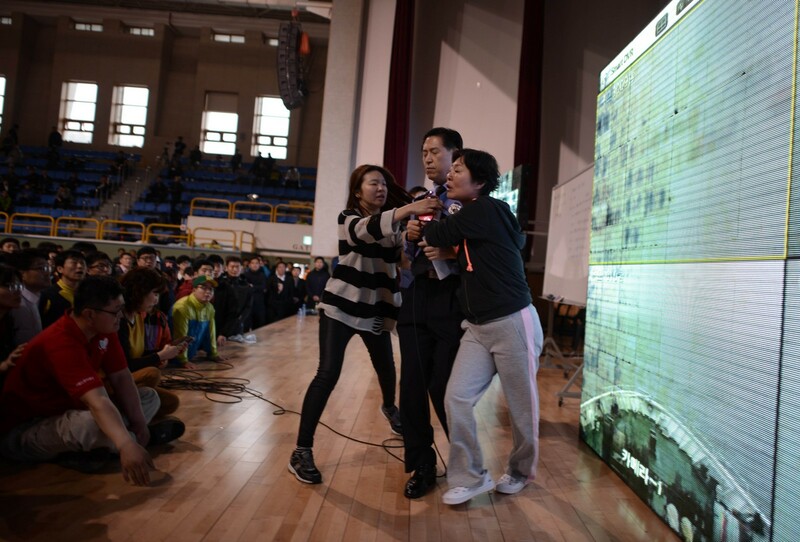 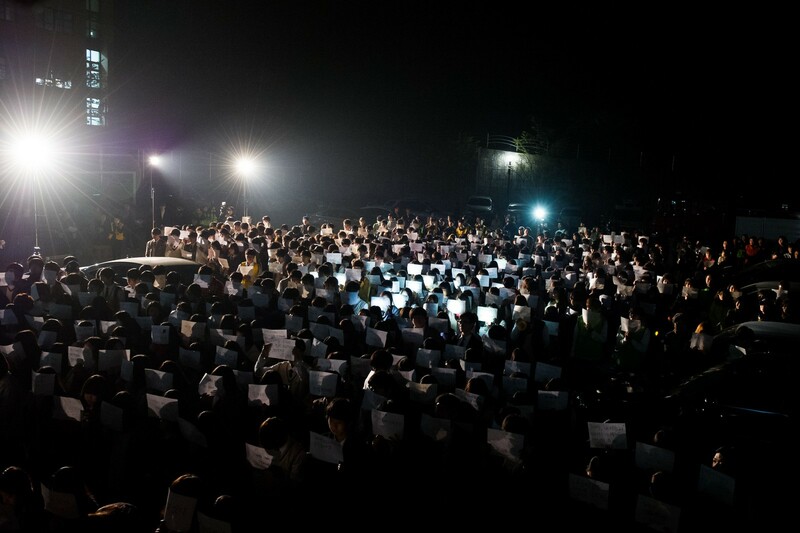 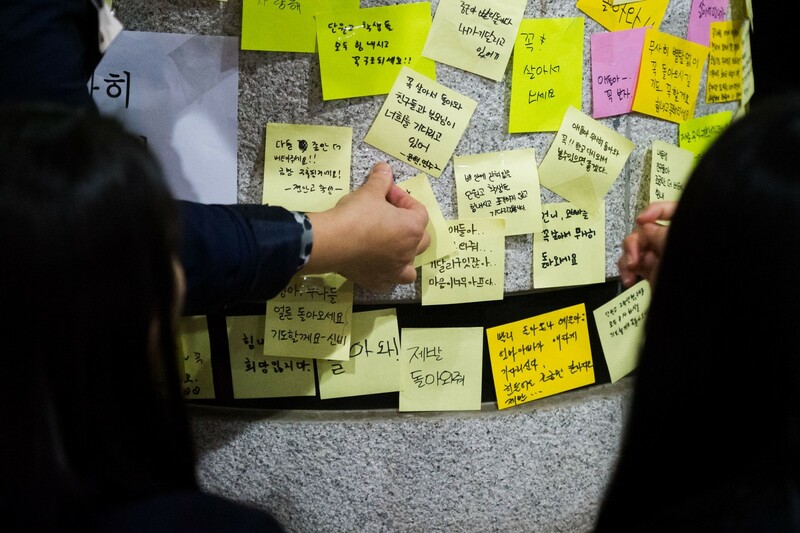 Family members of missing students who were on the South Korean ferry attend a candlelight vigil at Danwon High School in Ansan. 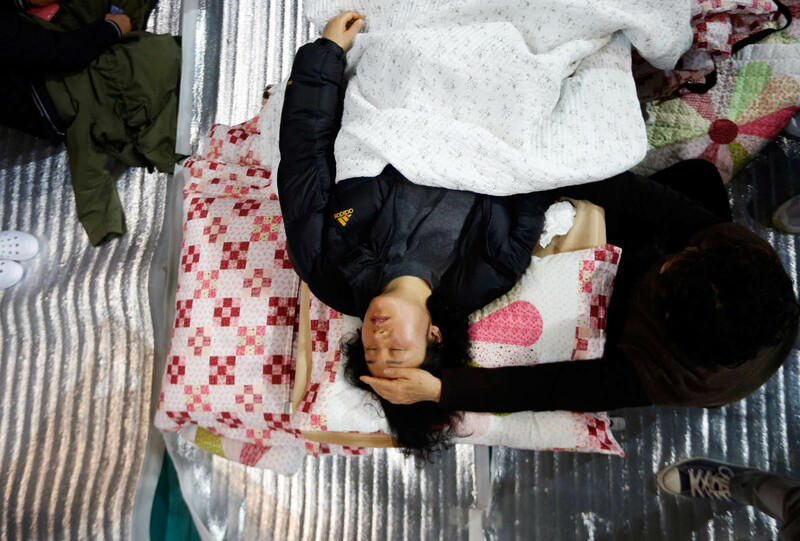 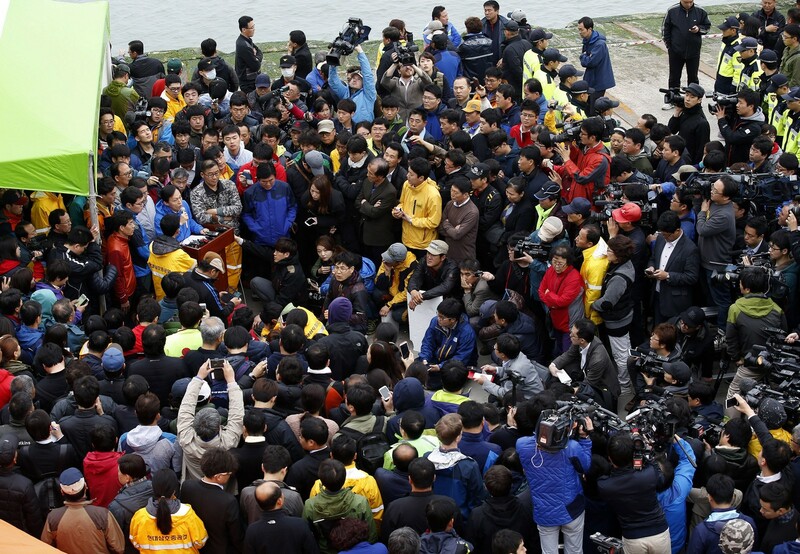 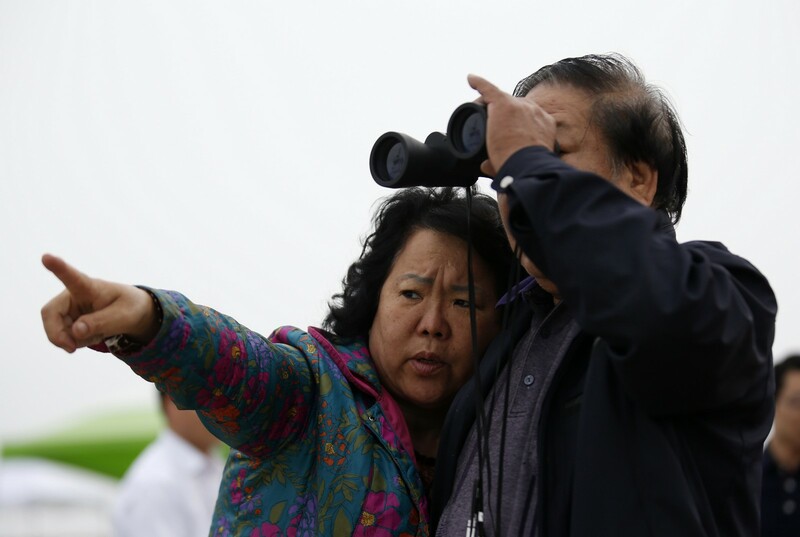 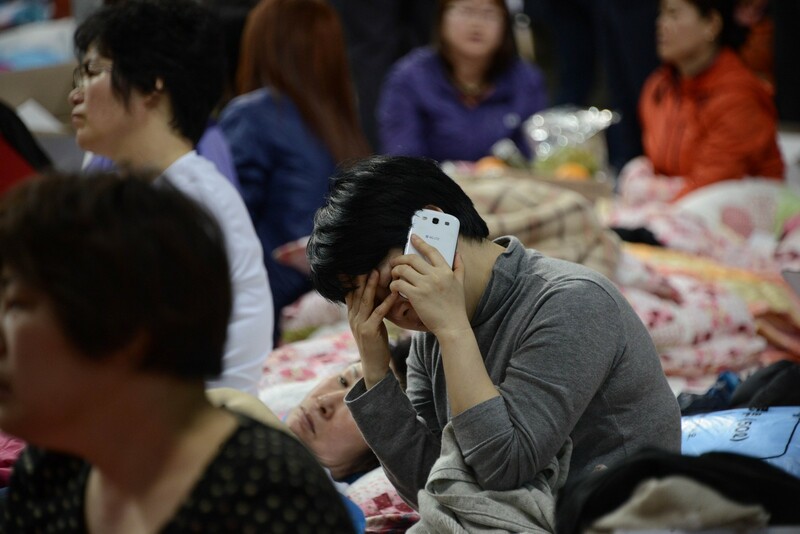 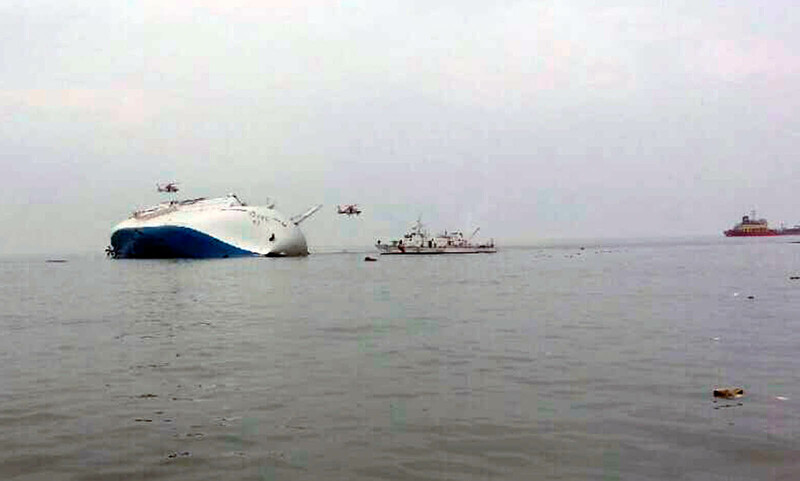 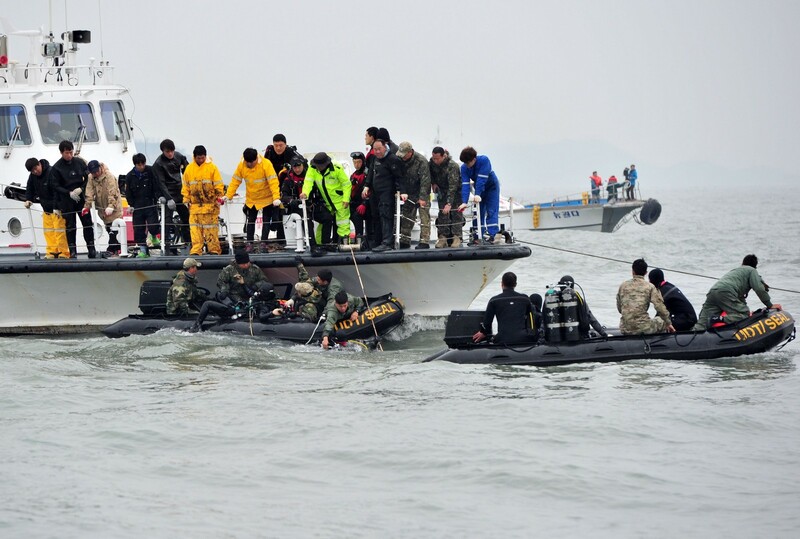 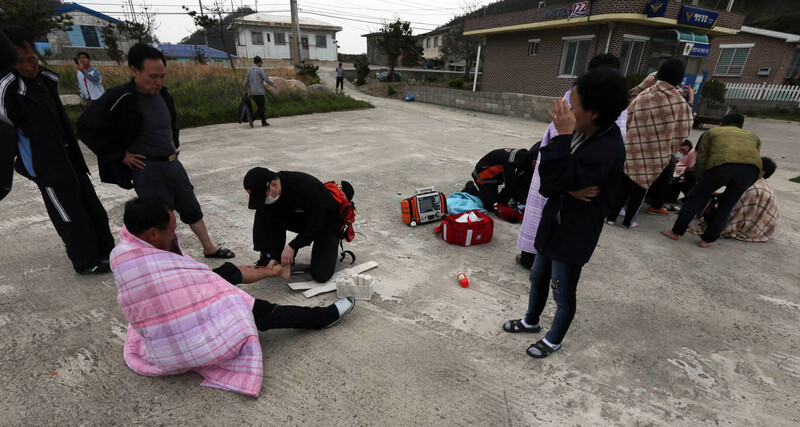 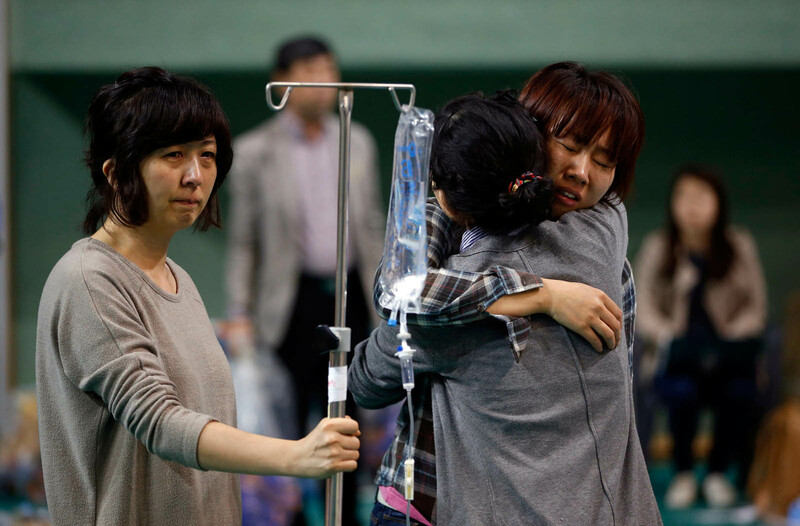 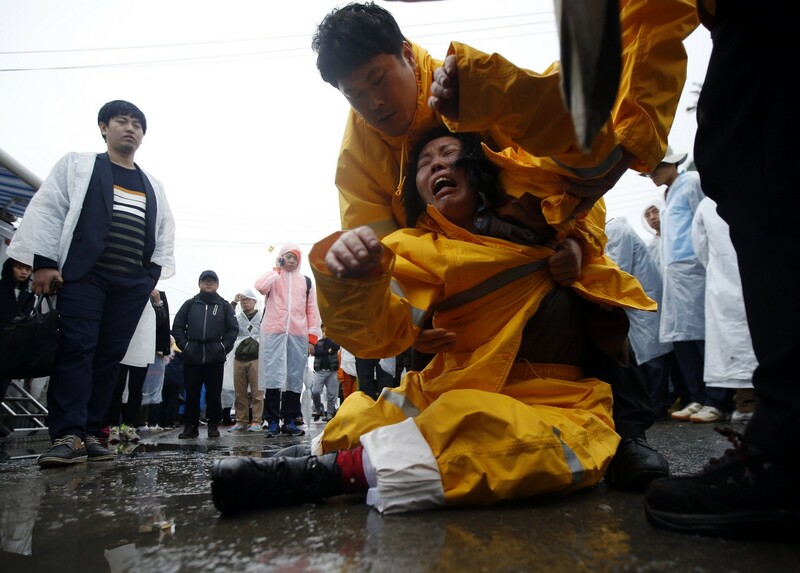 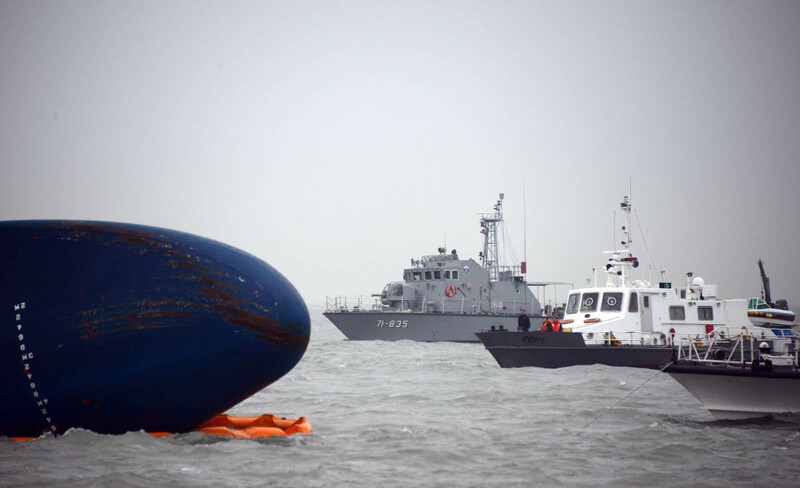 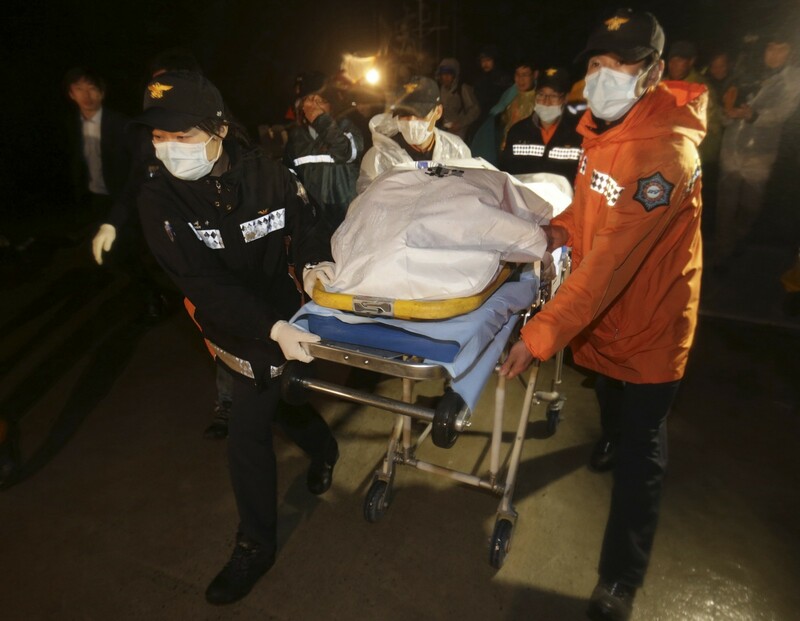 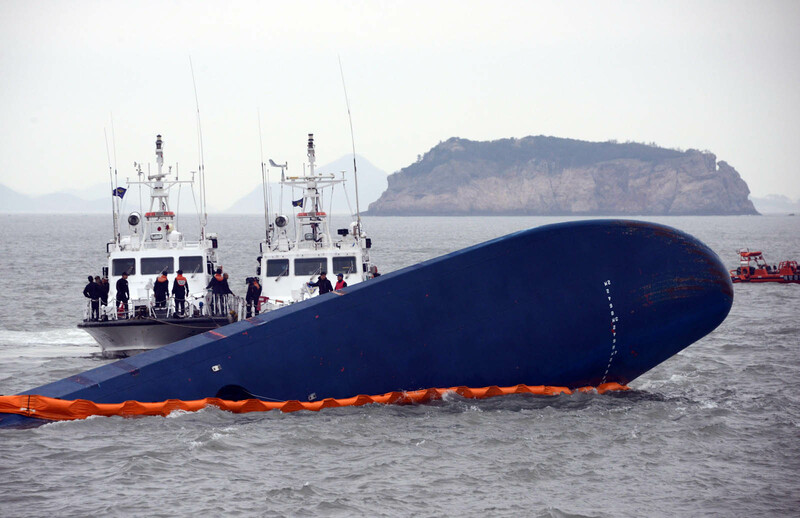 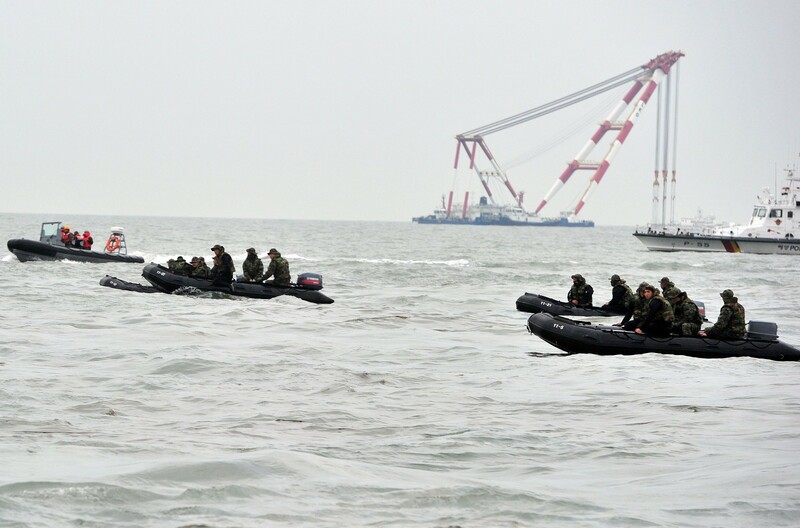 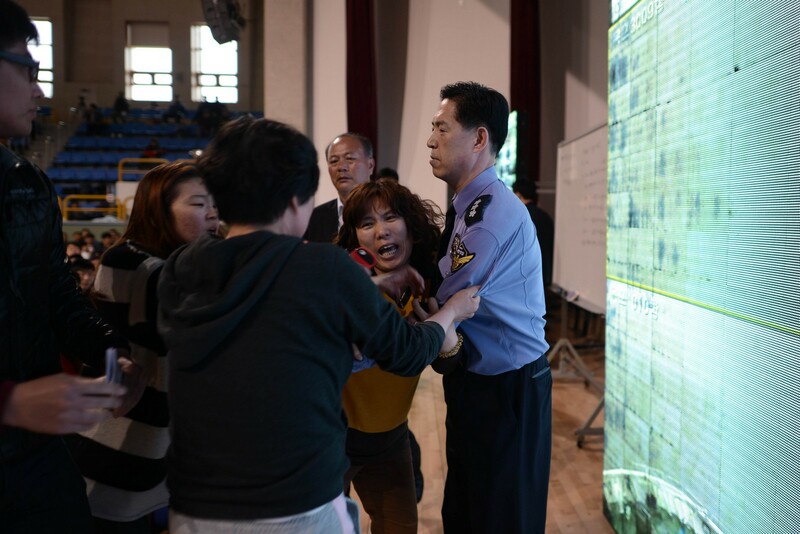 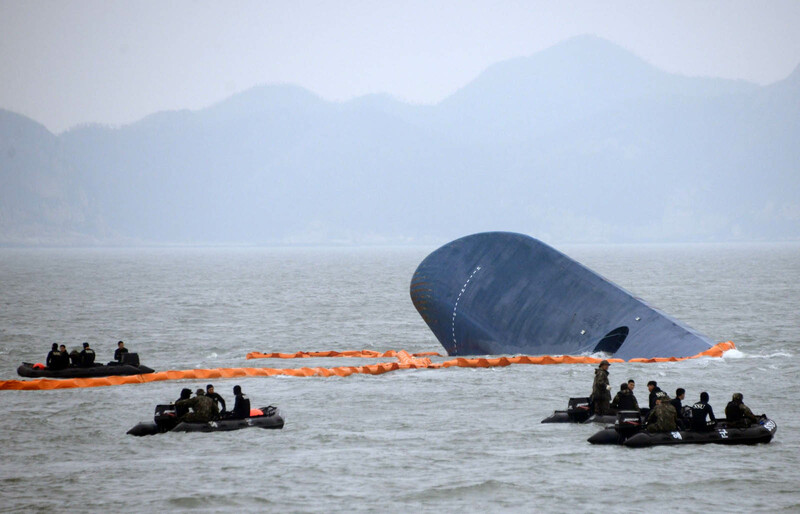 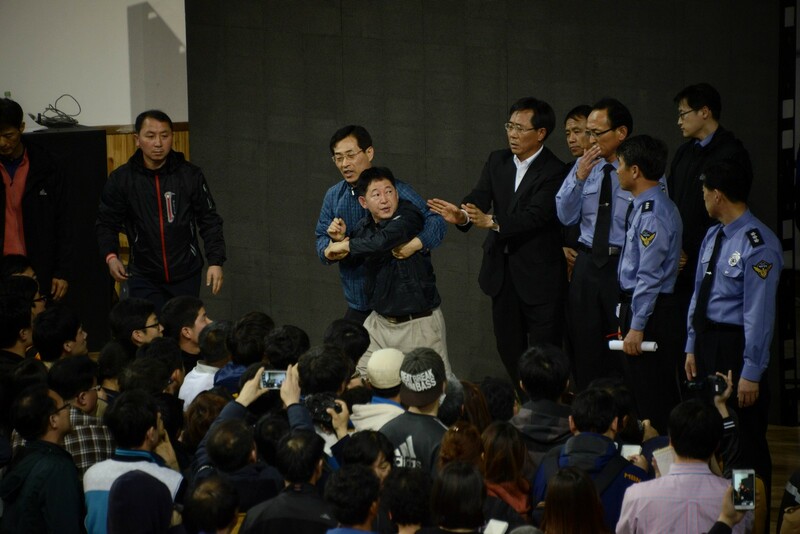 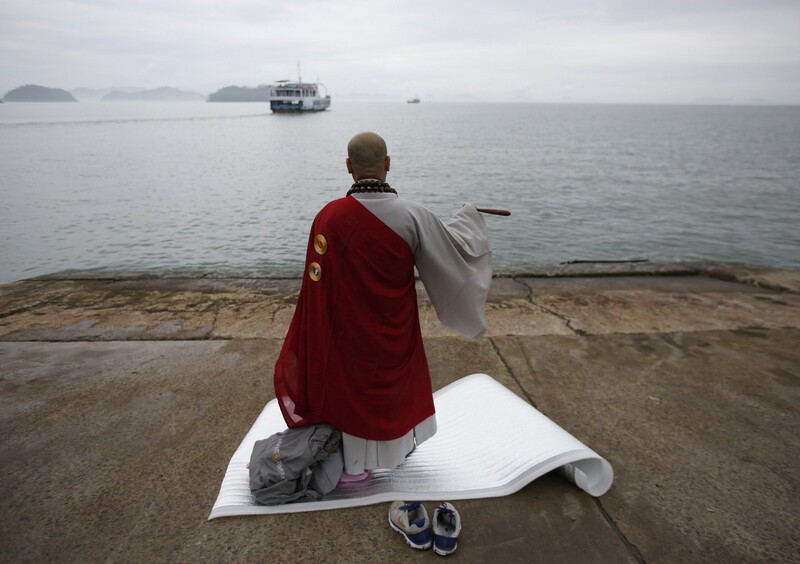 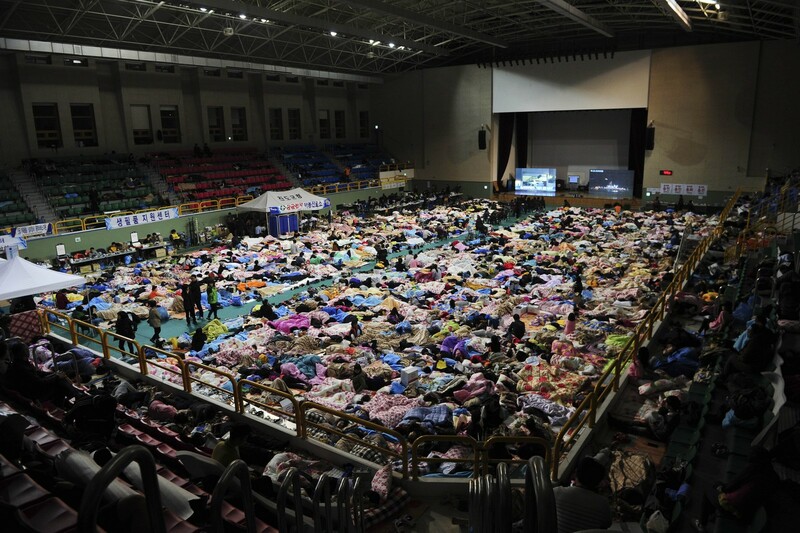 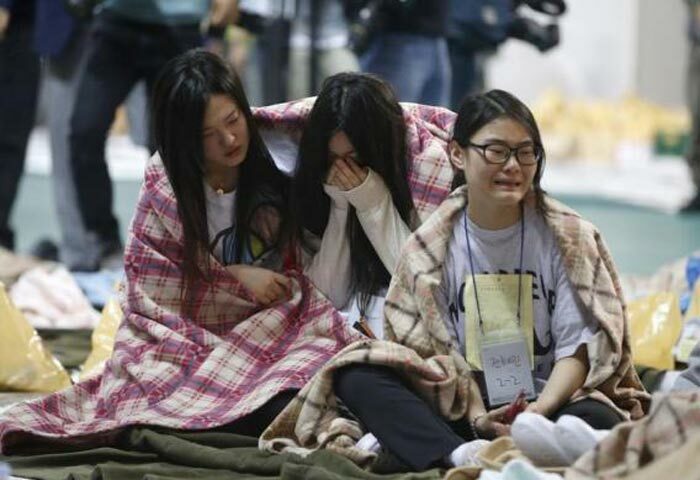 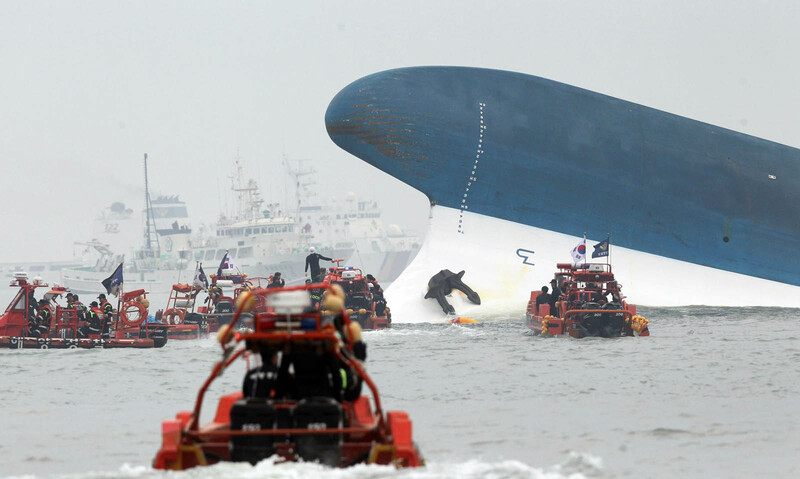 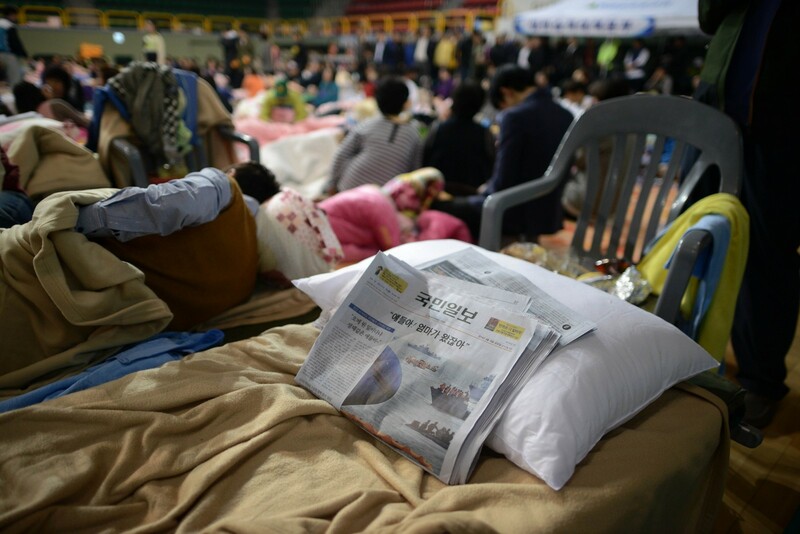 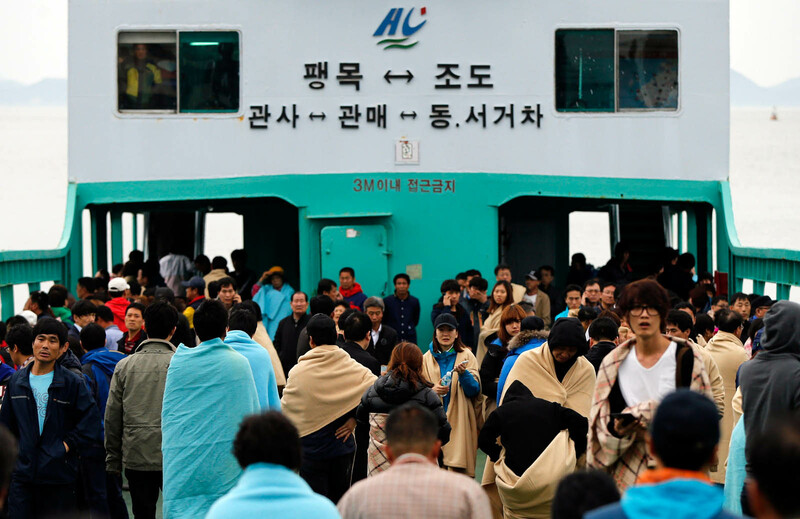 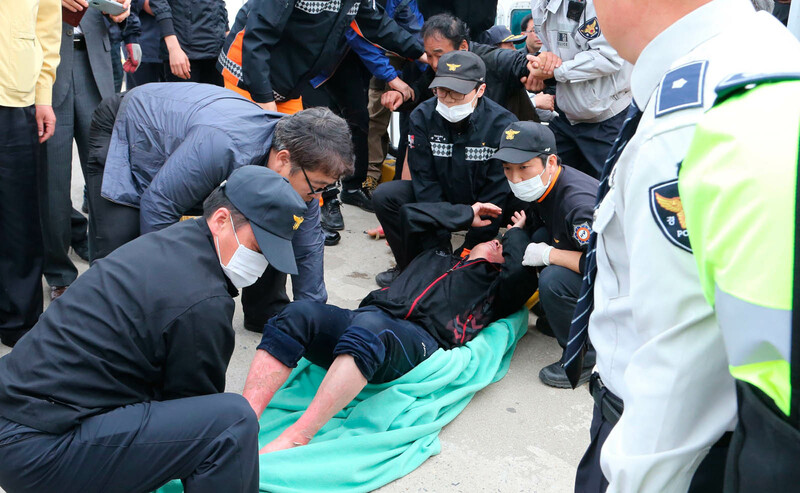 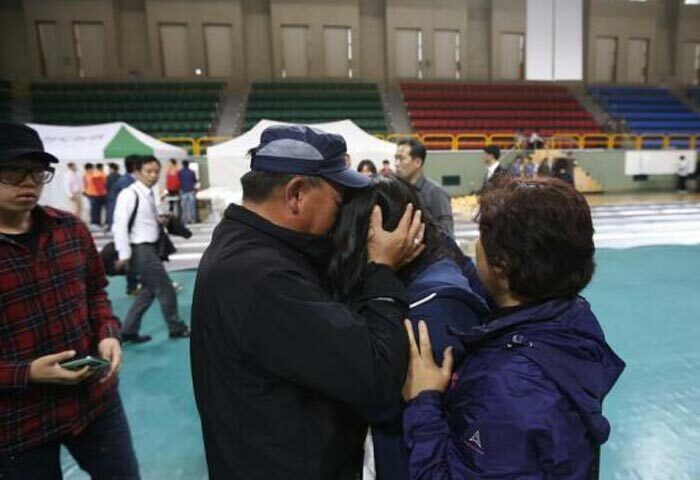 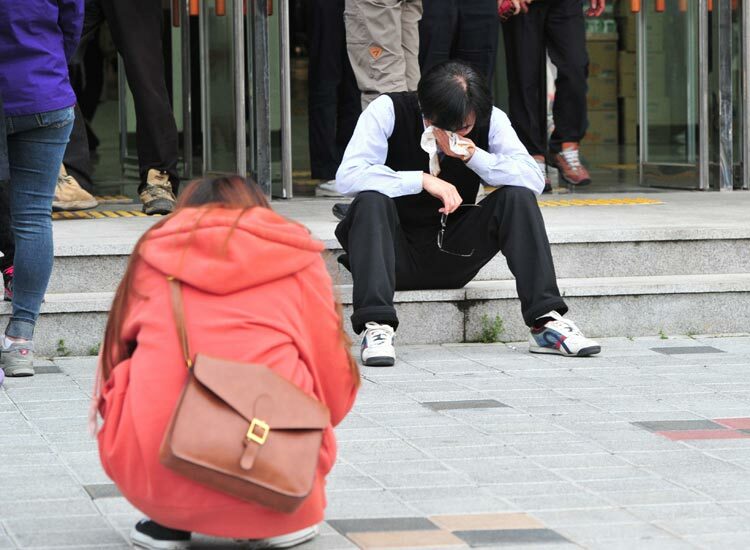 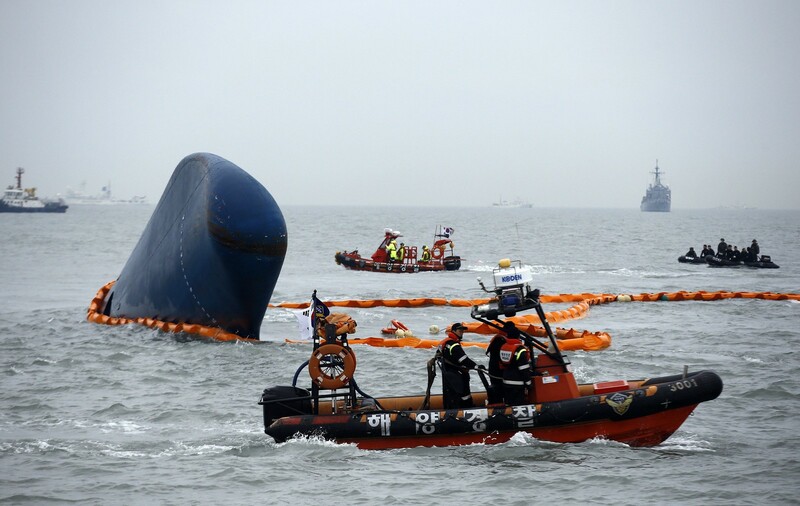 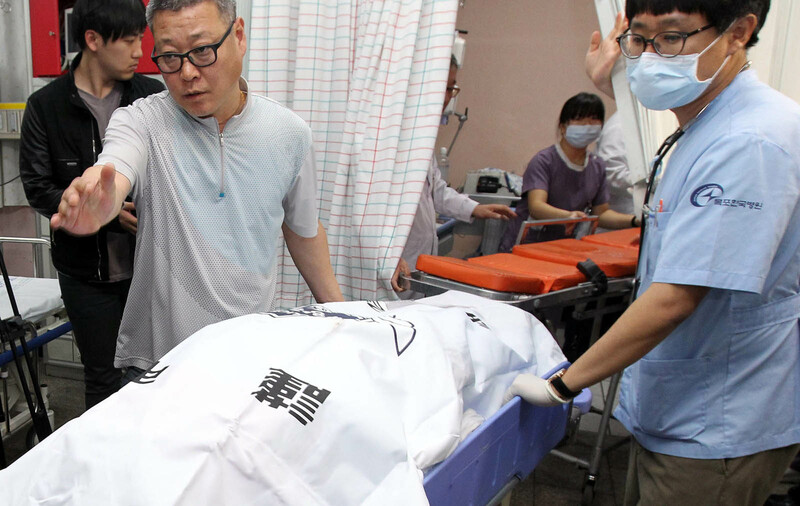 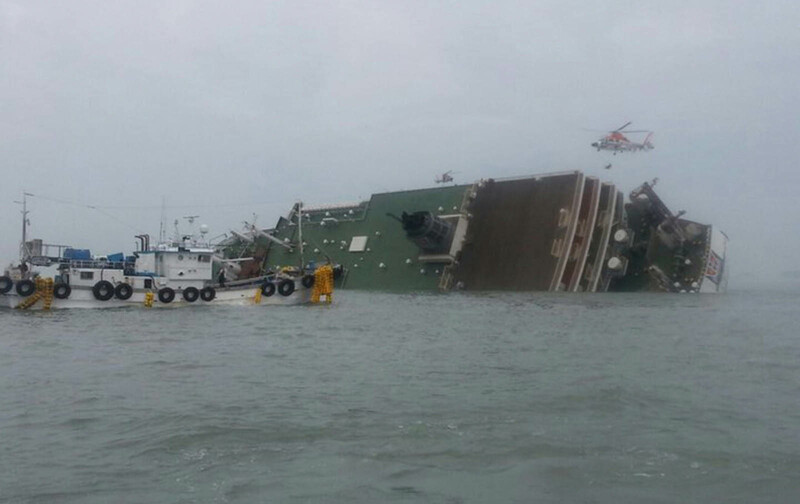 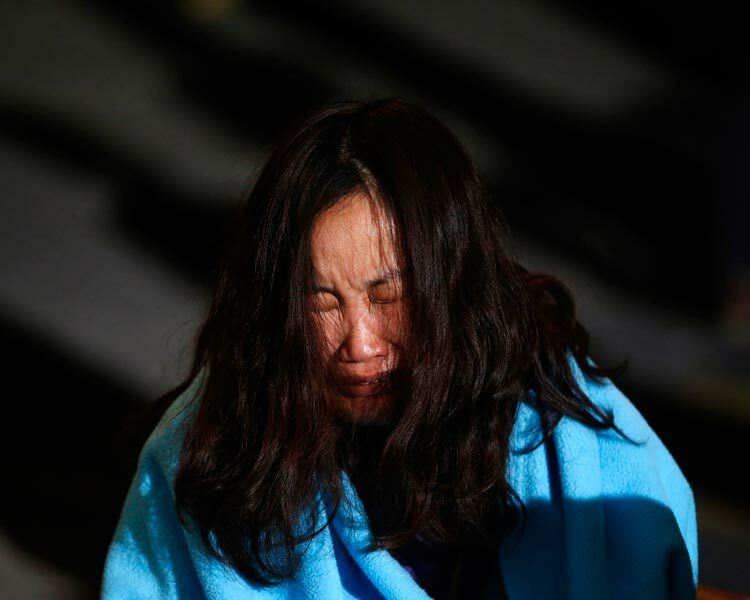 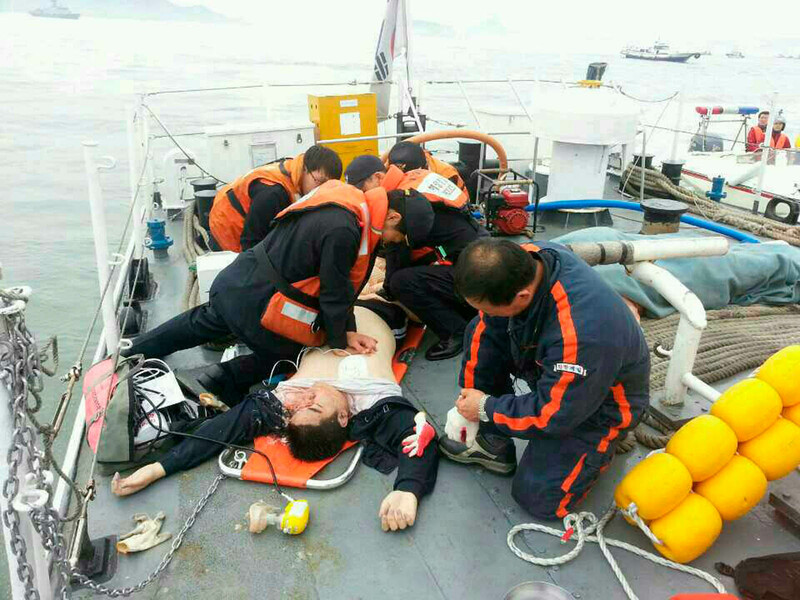 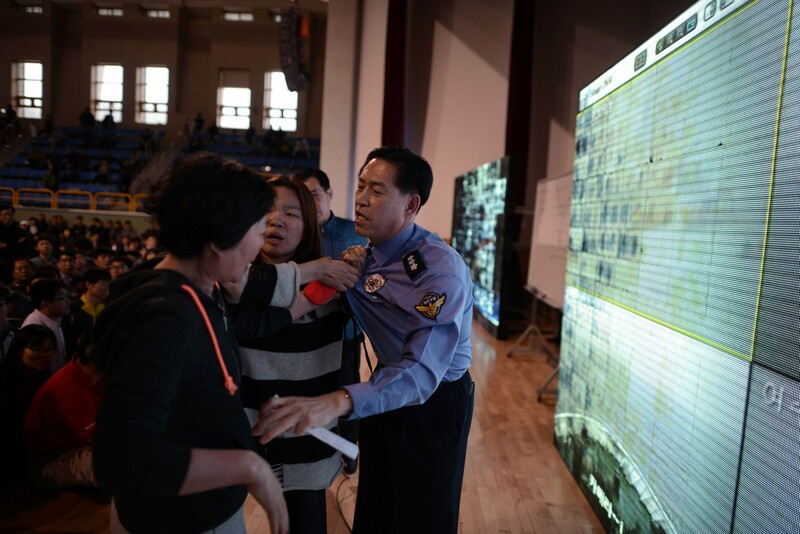 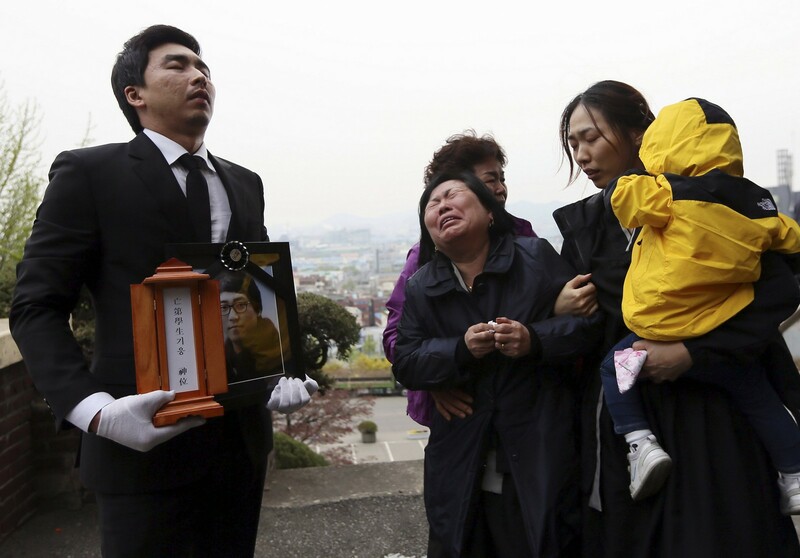 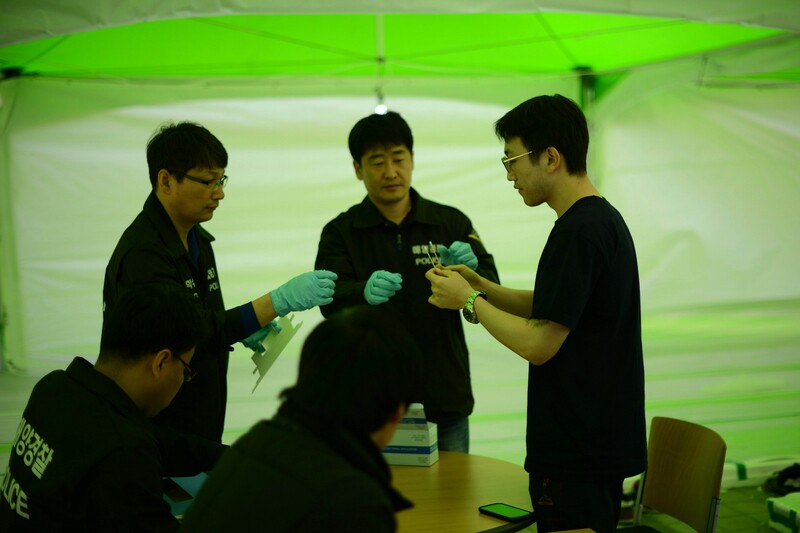 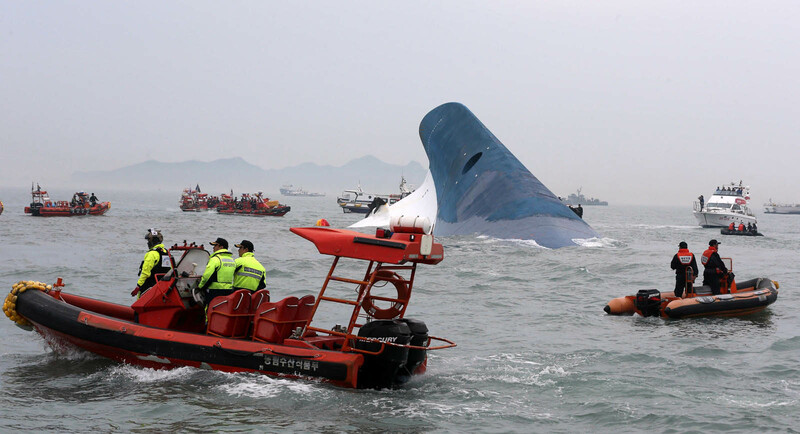 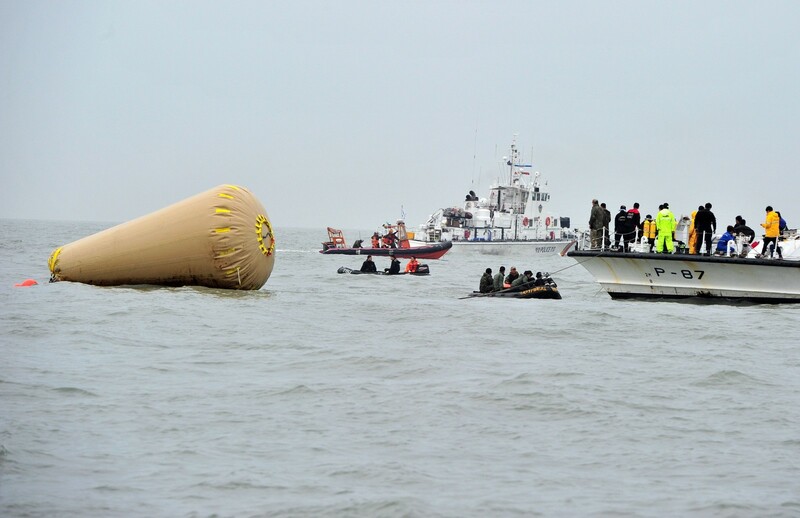 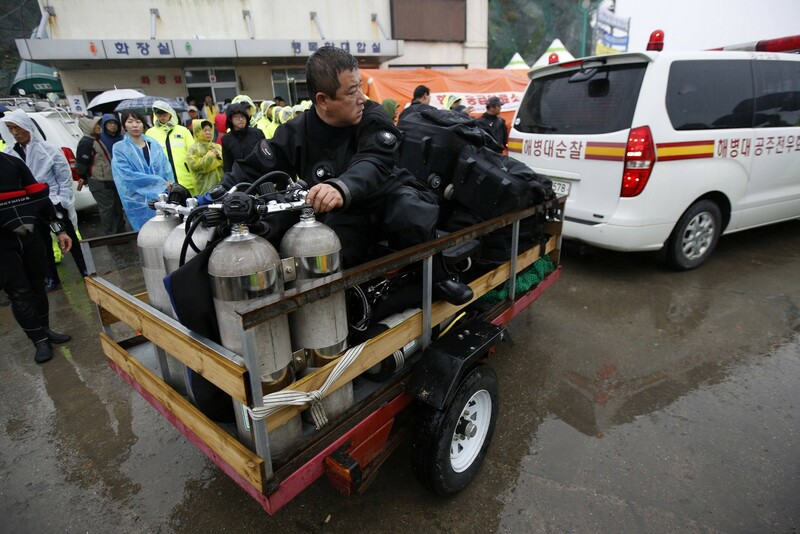 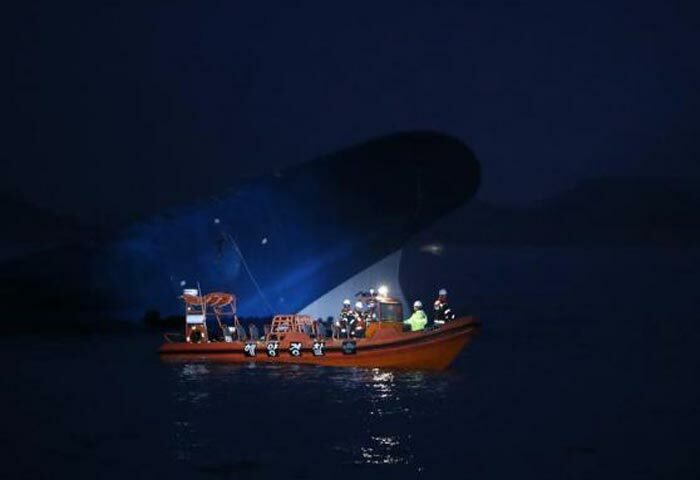 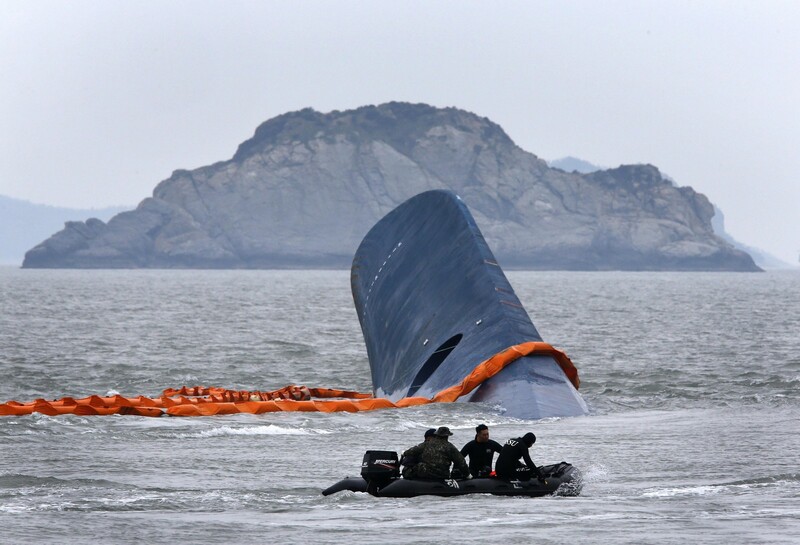 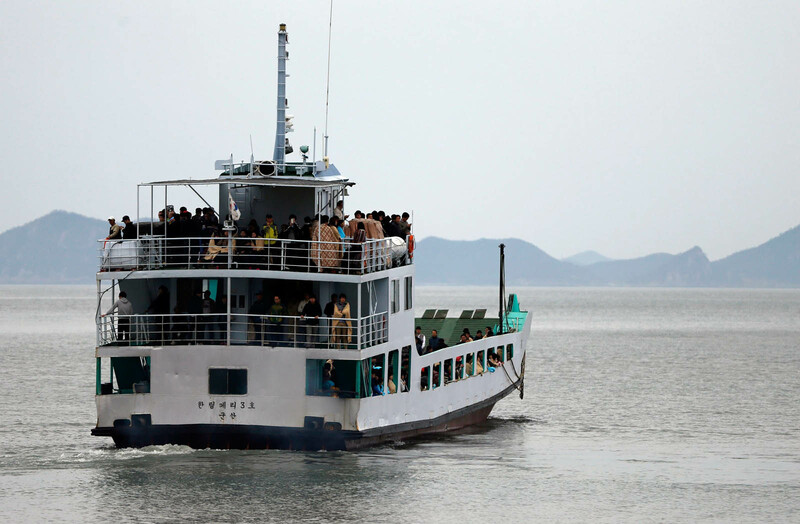 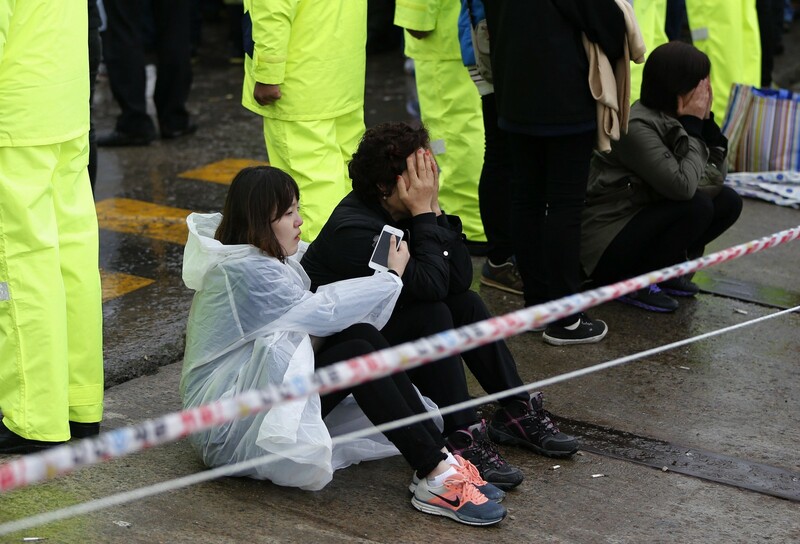 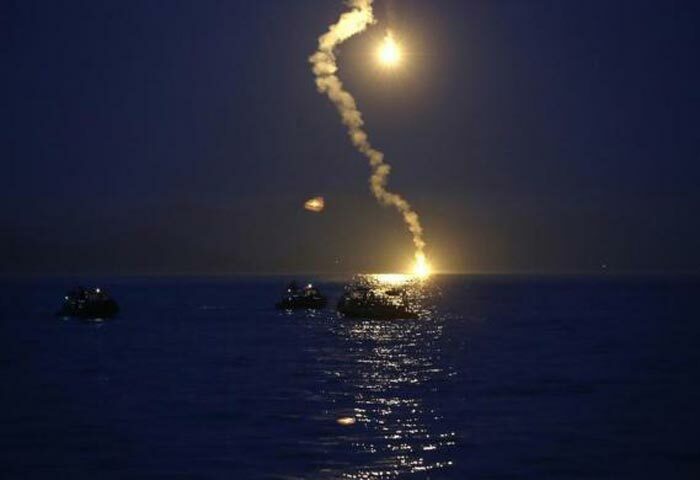 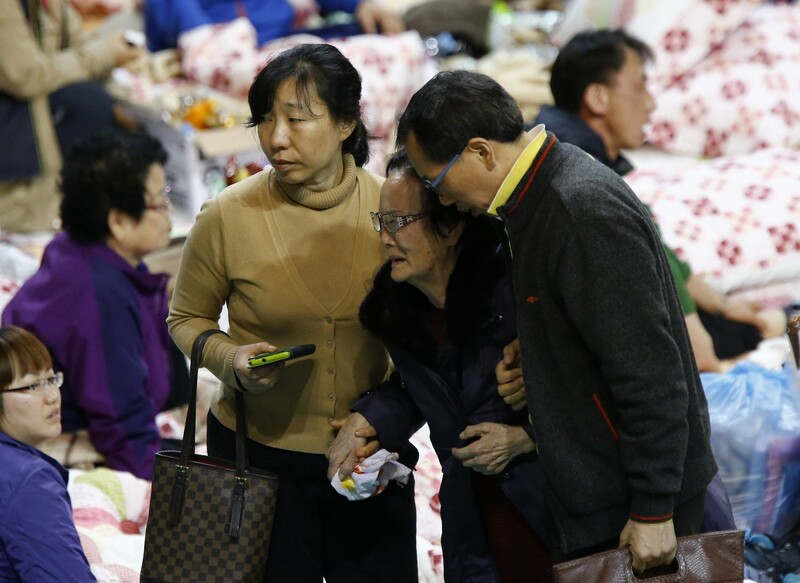 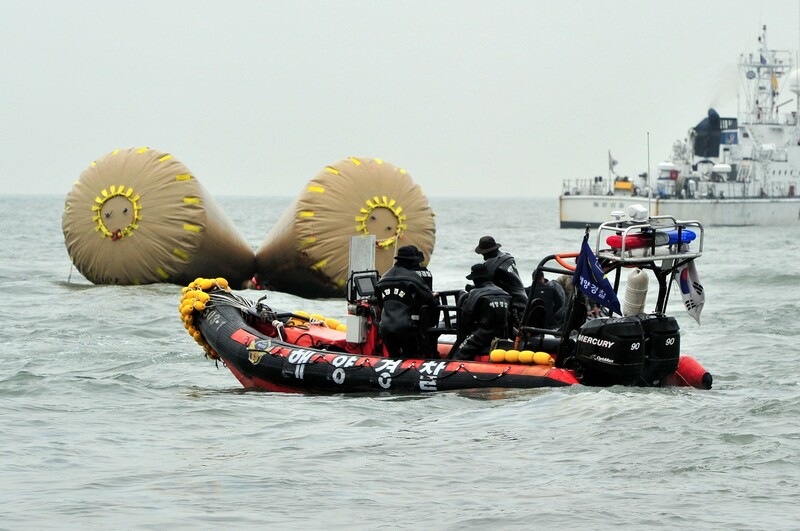 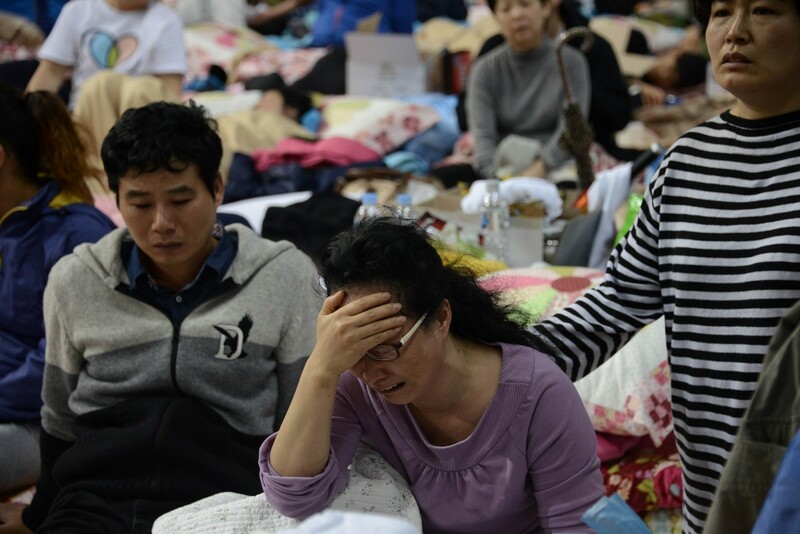 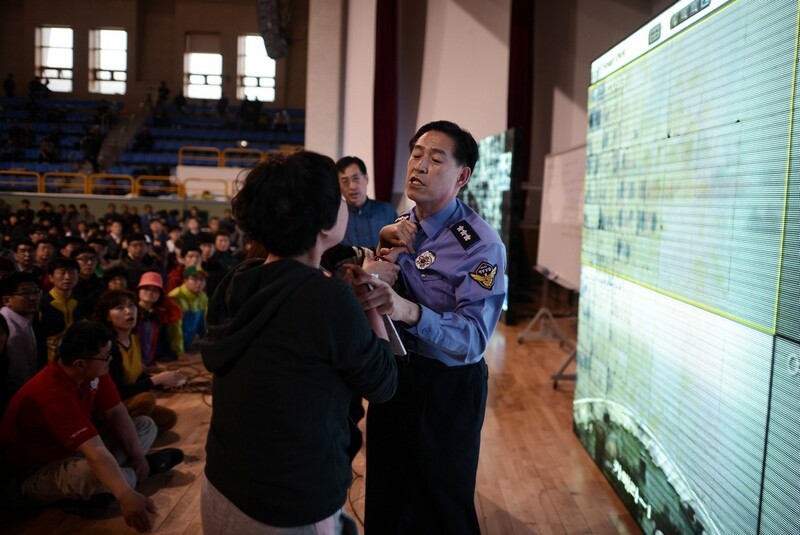 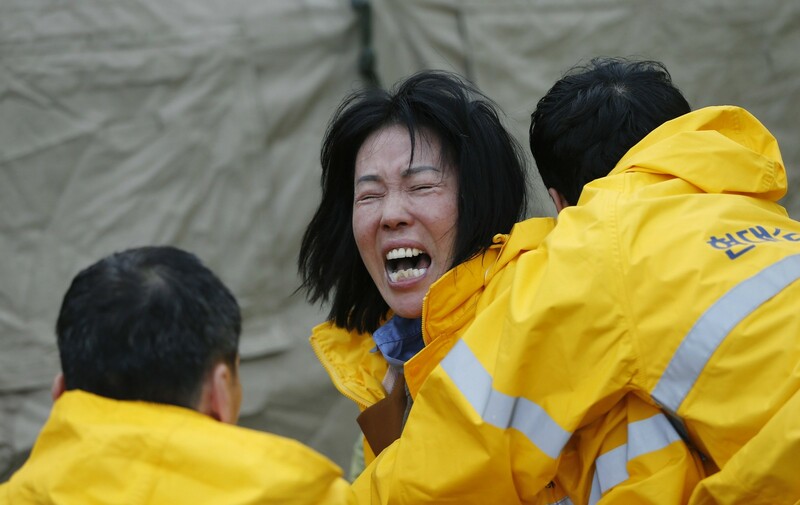 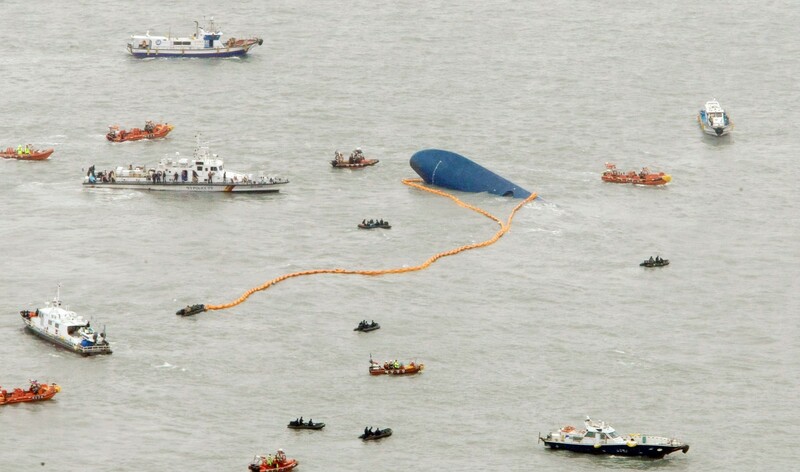 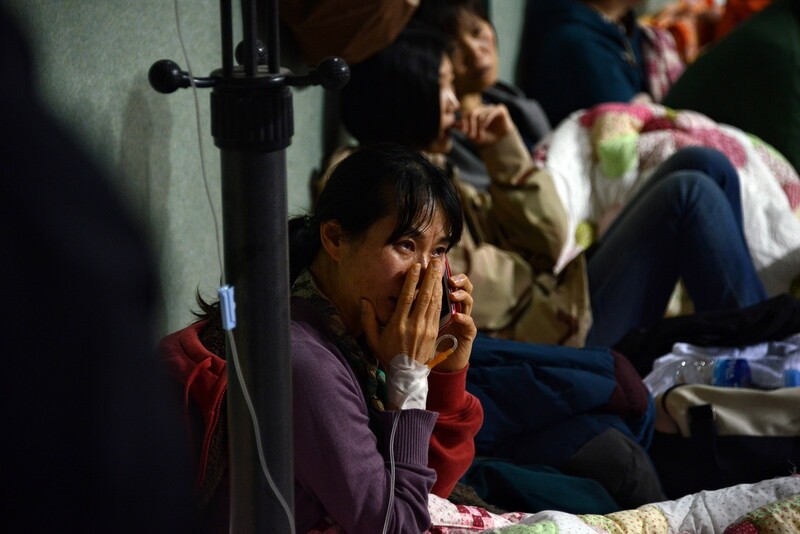 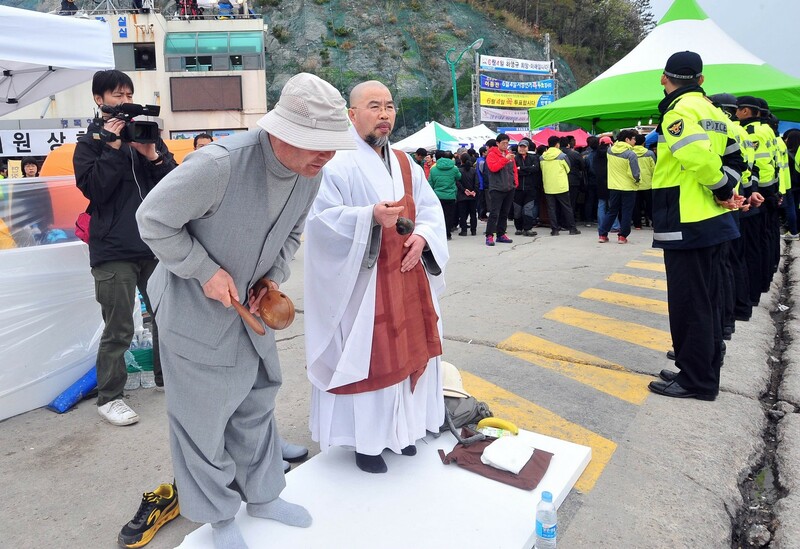 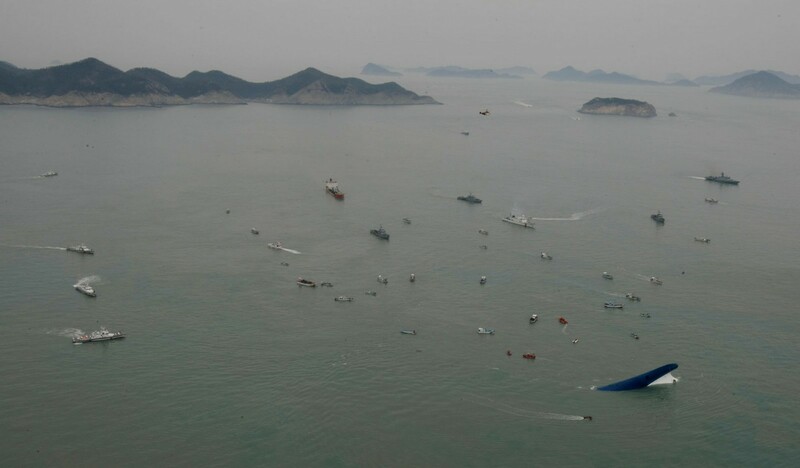 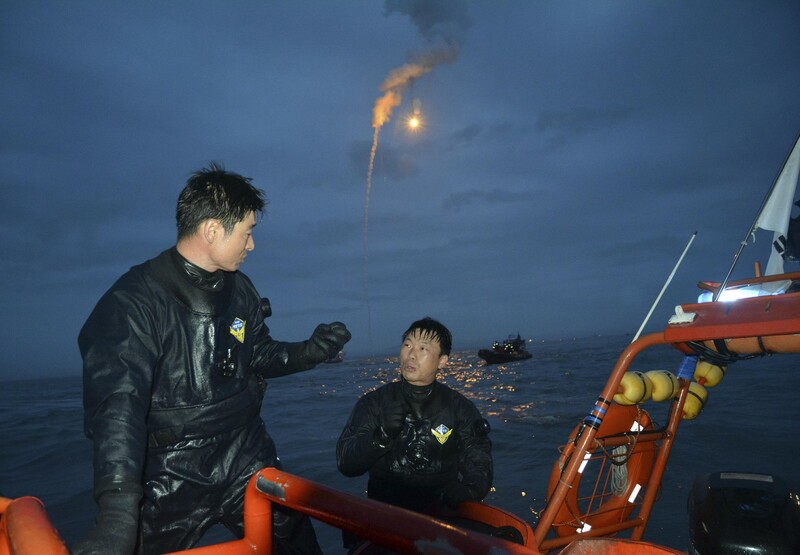 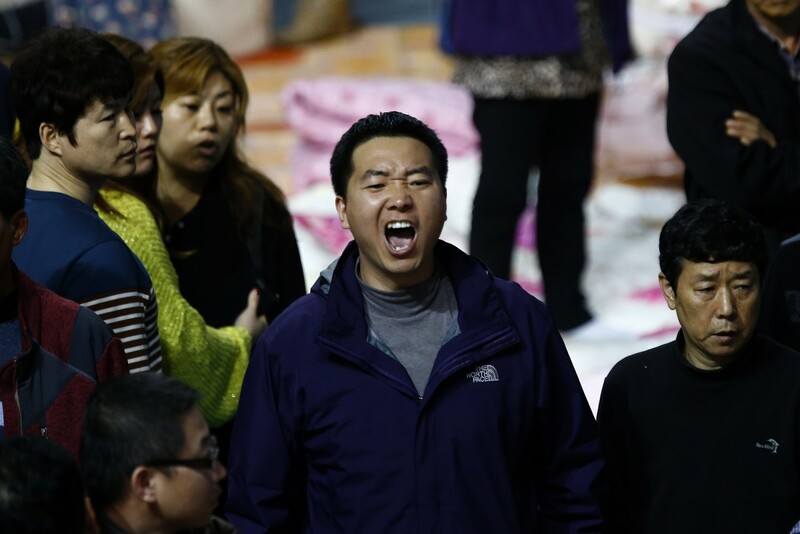 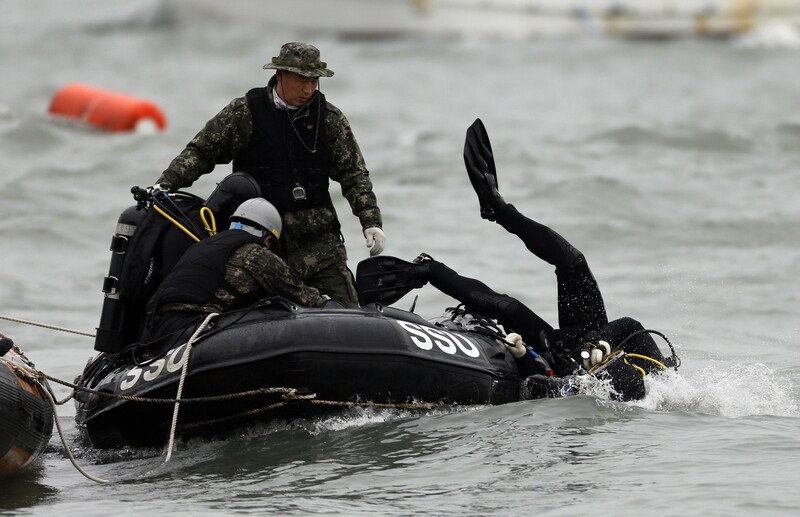 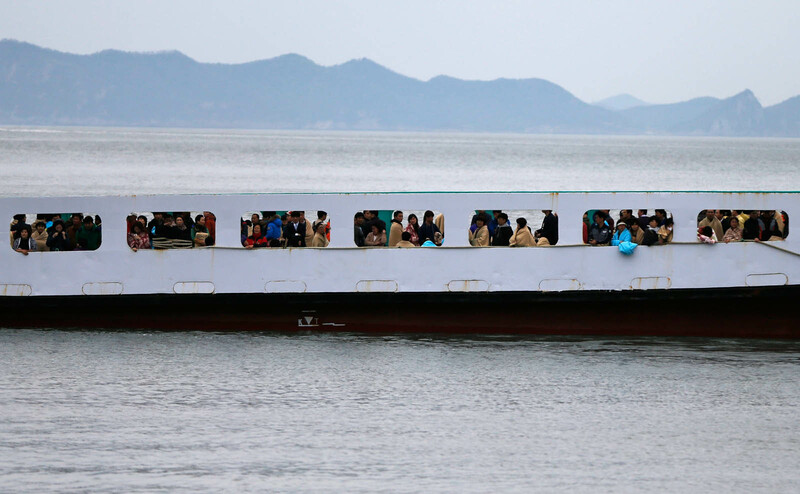 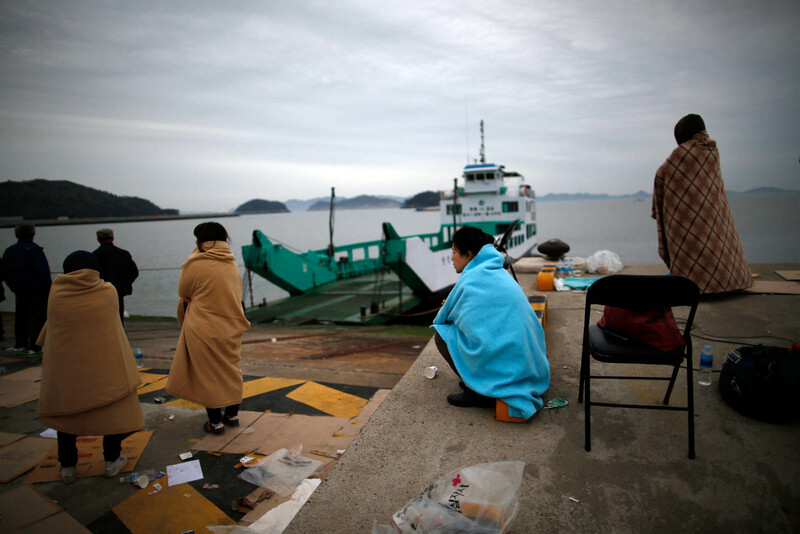 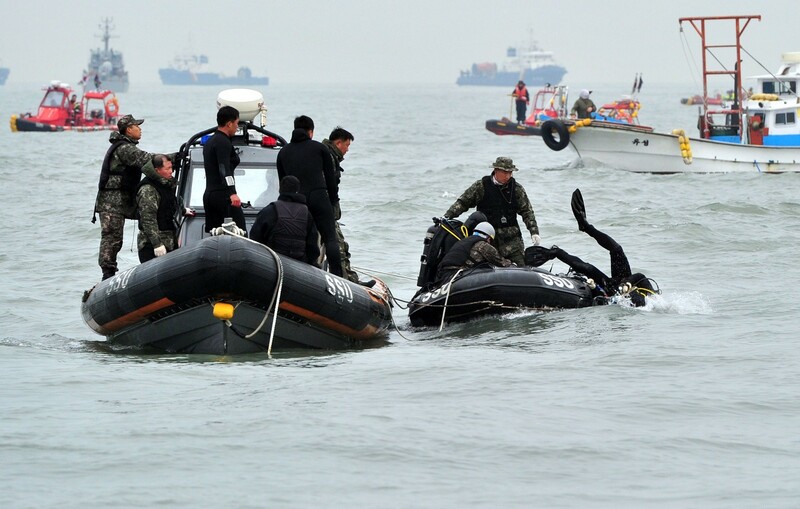 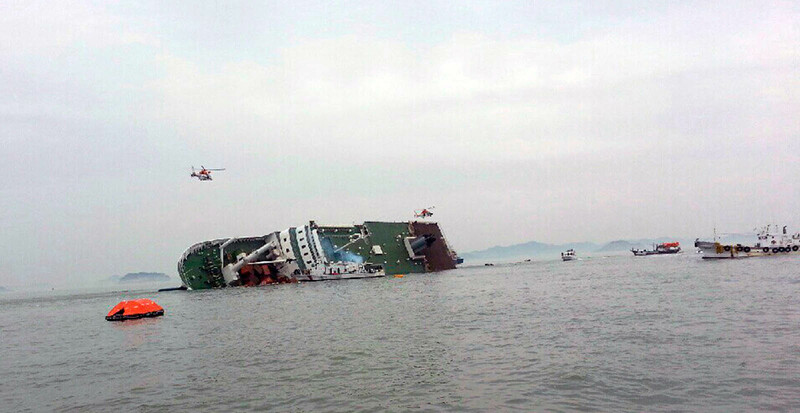 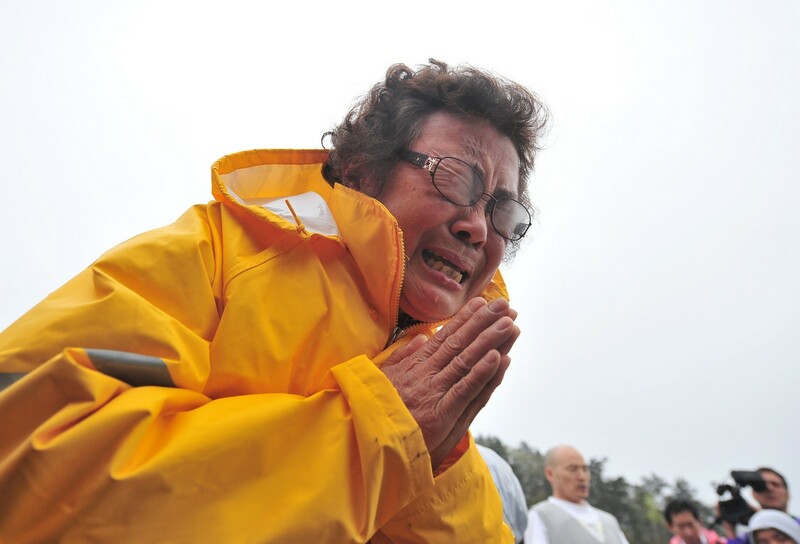 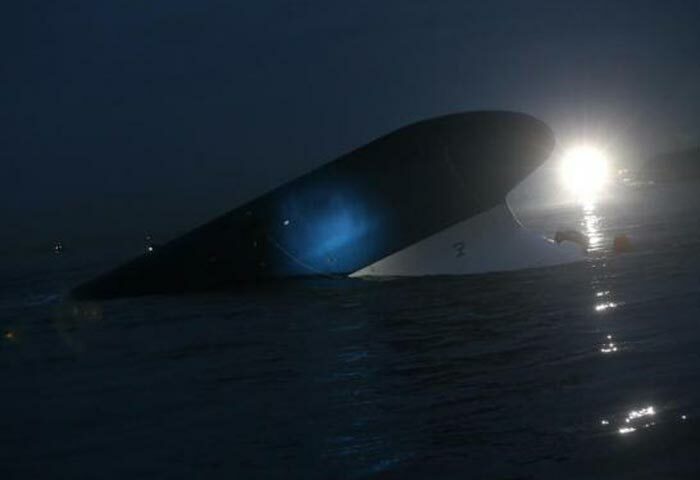 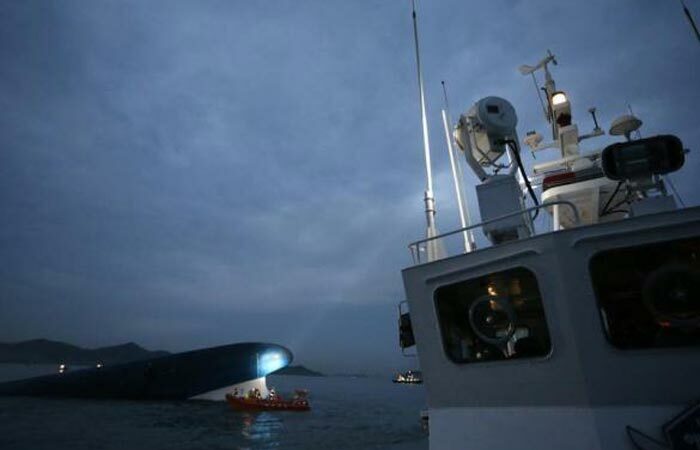 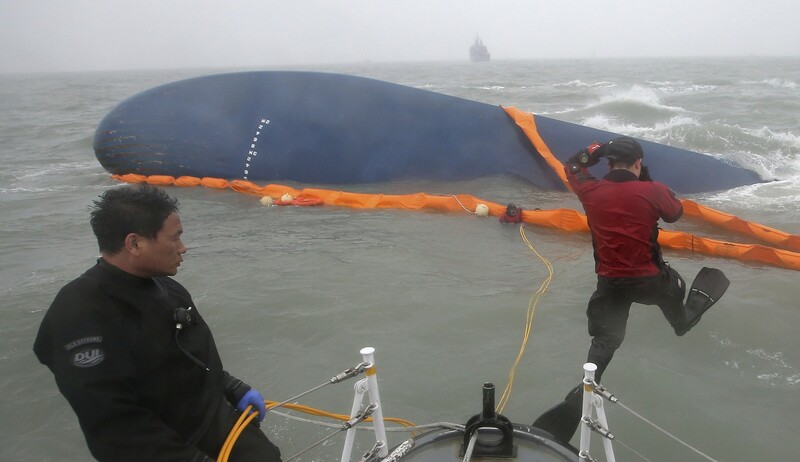 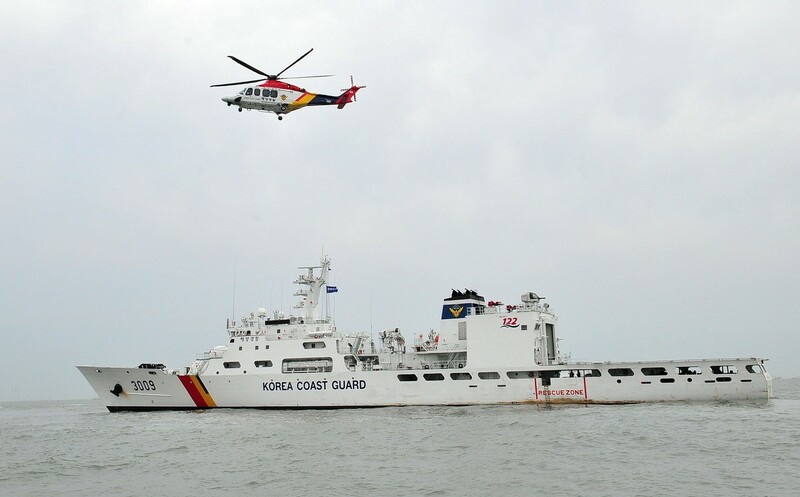 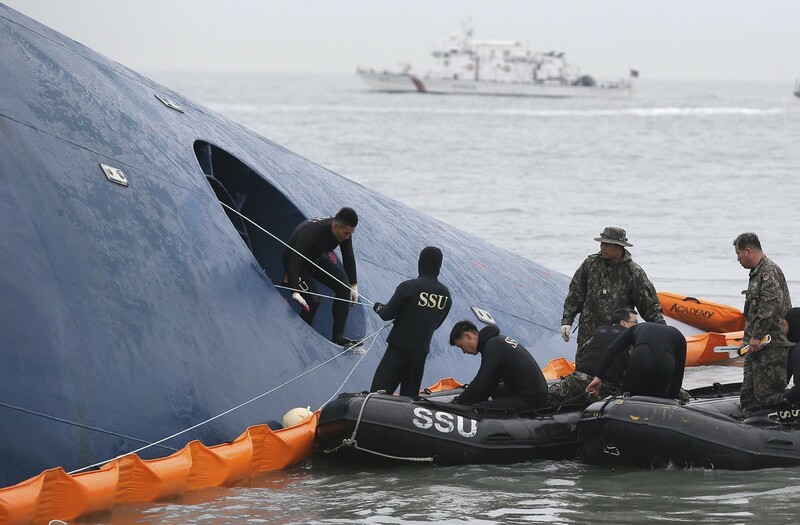 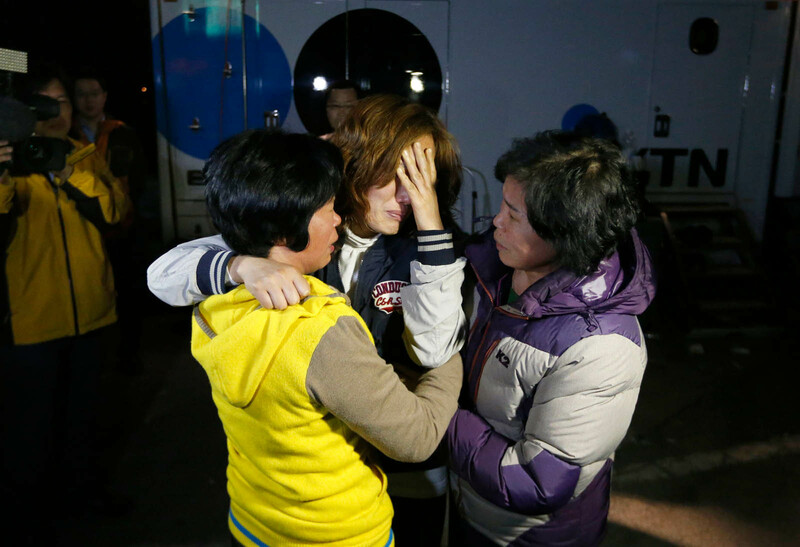 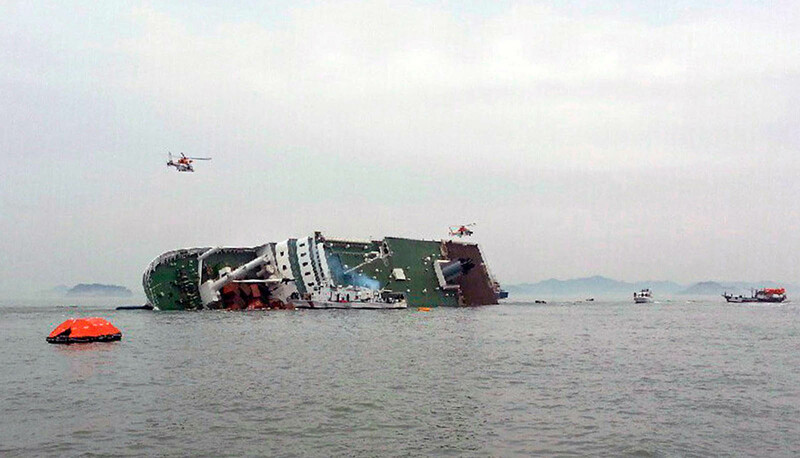 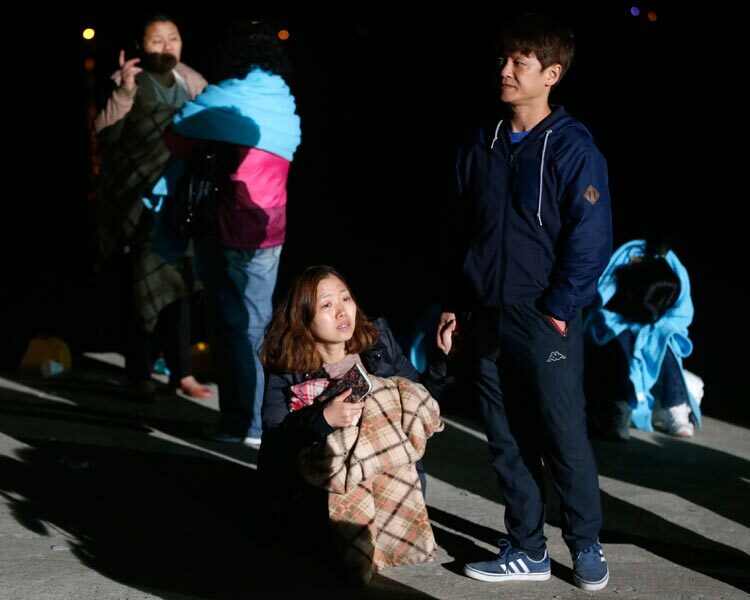 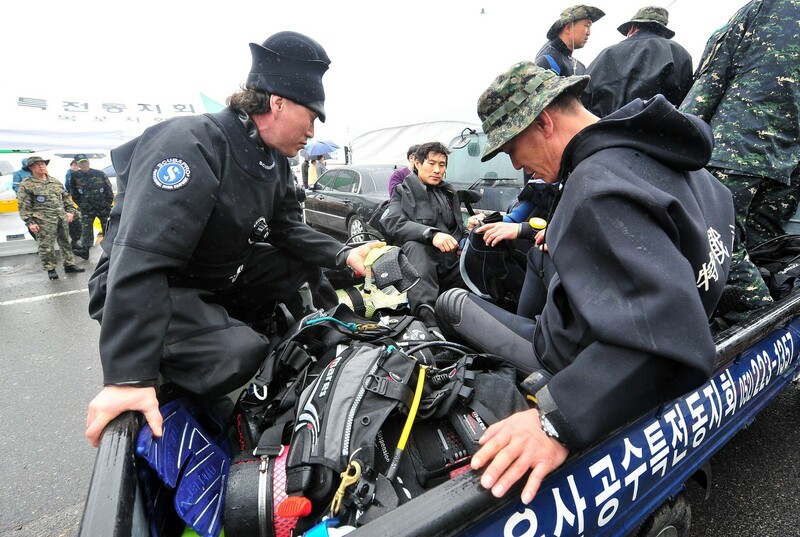 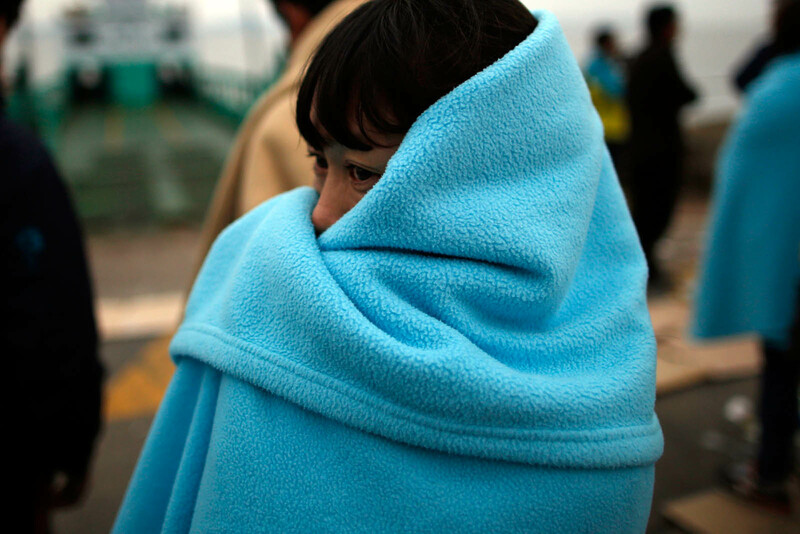 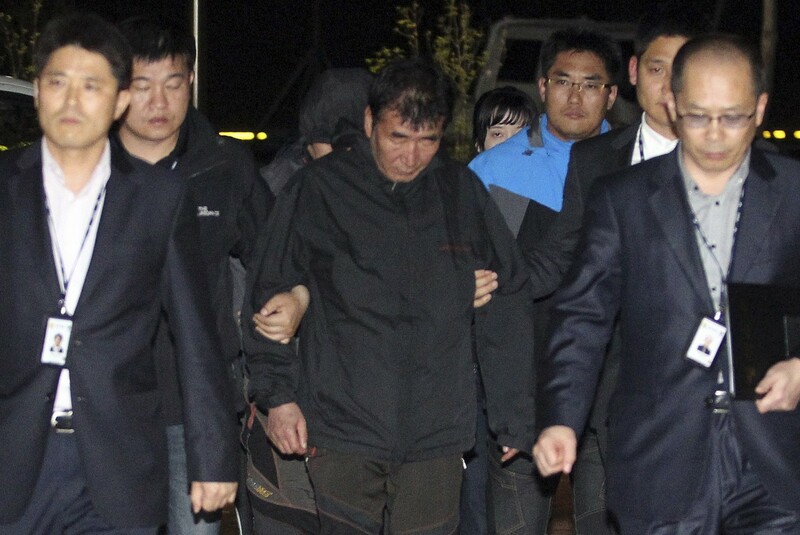 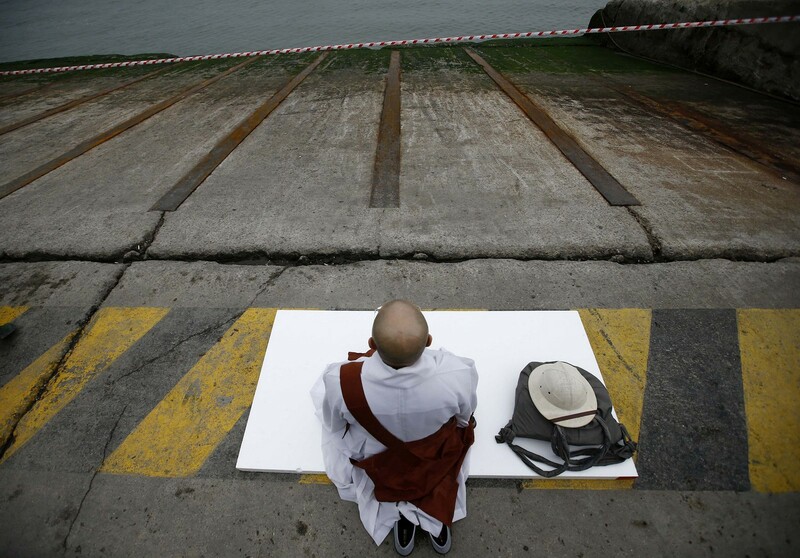 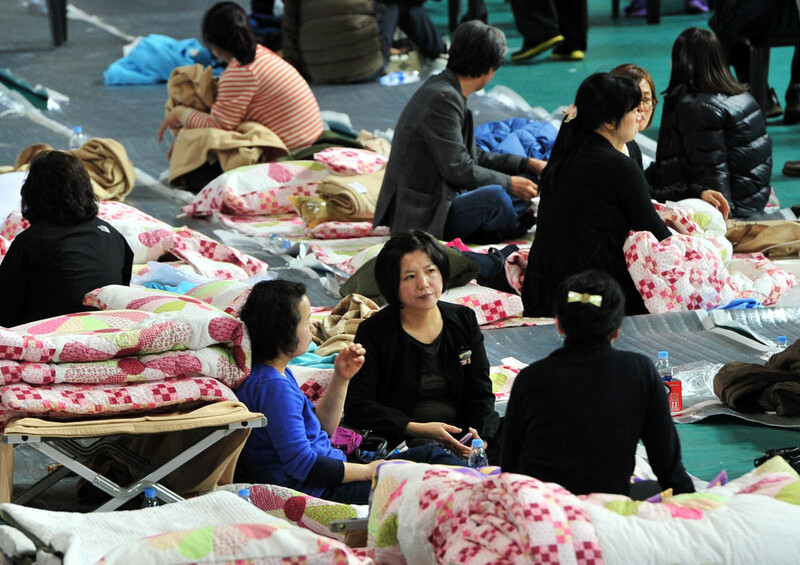 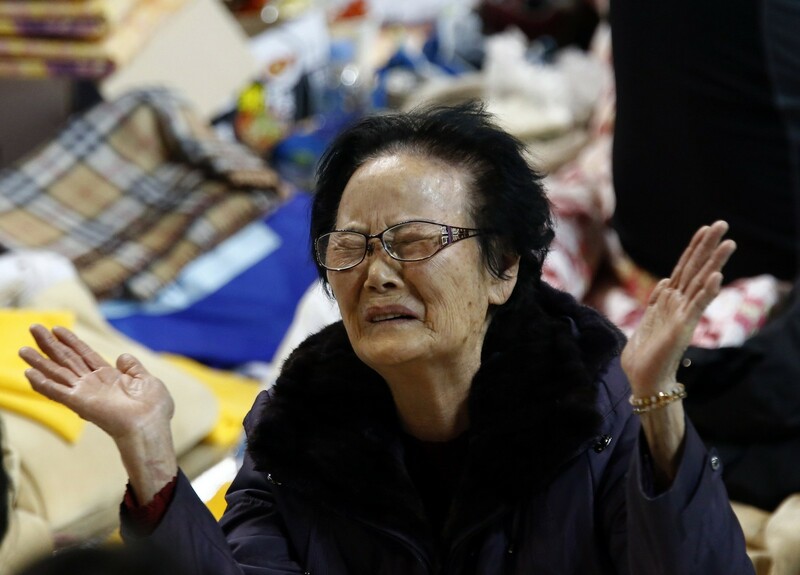 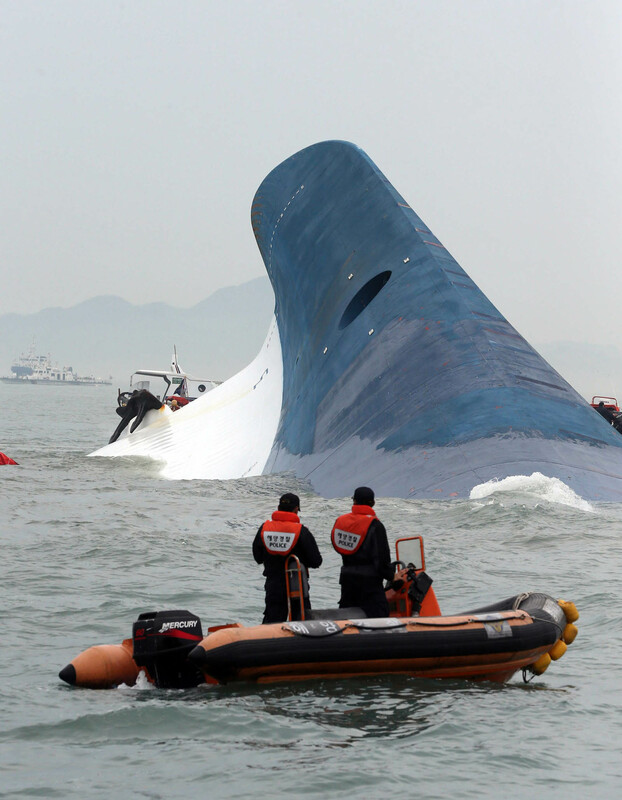 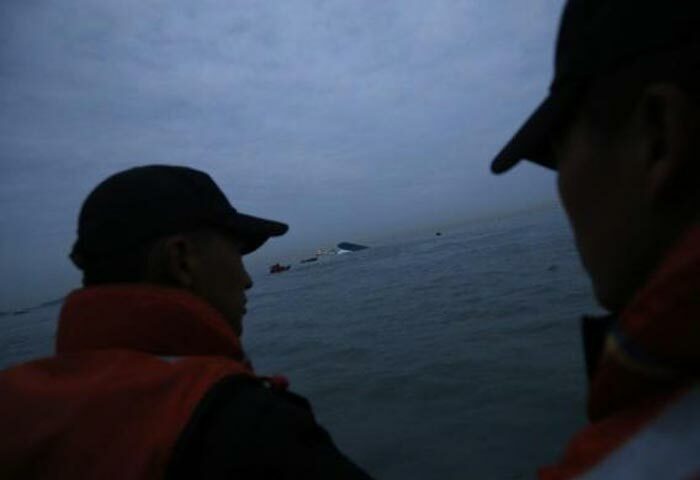 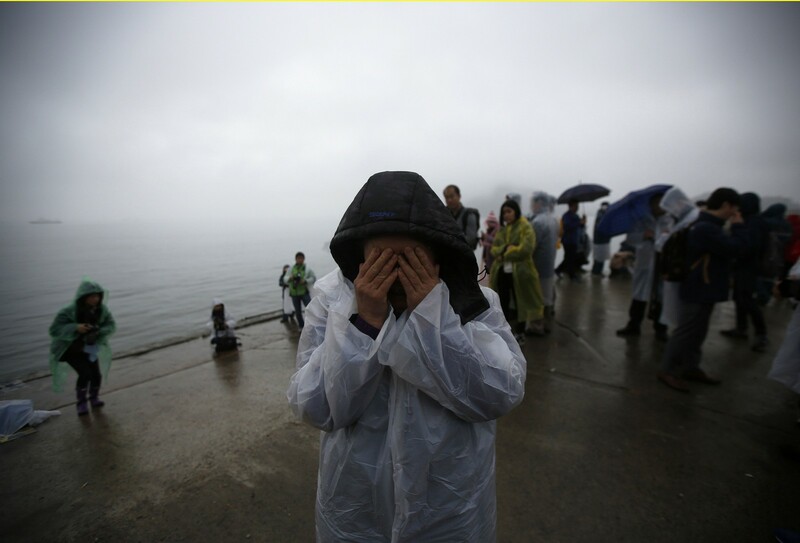 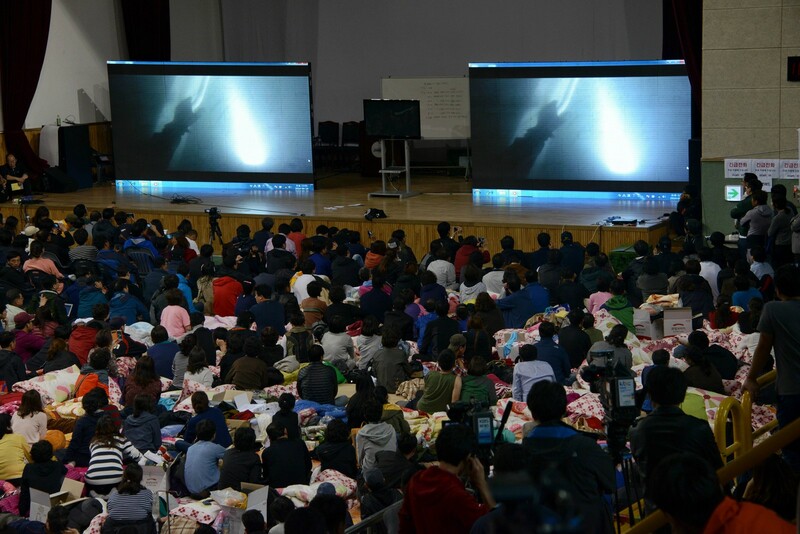 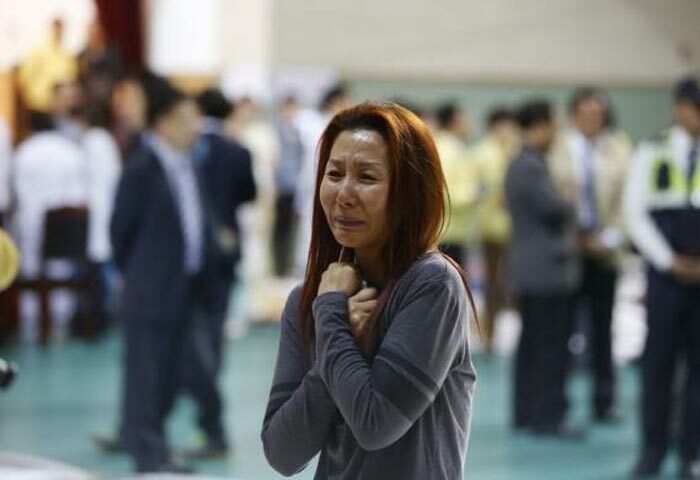 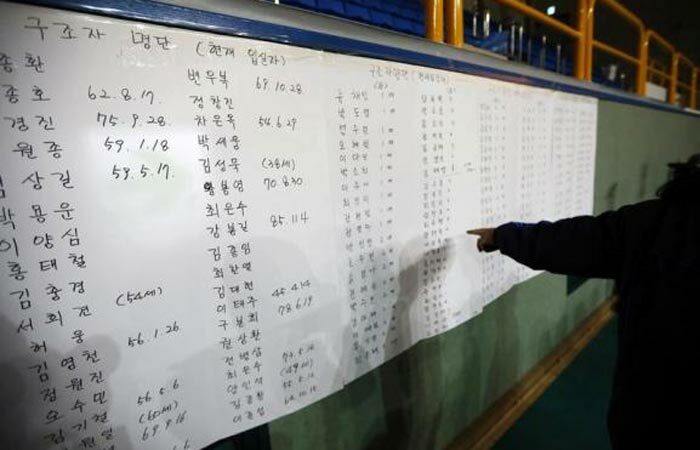 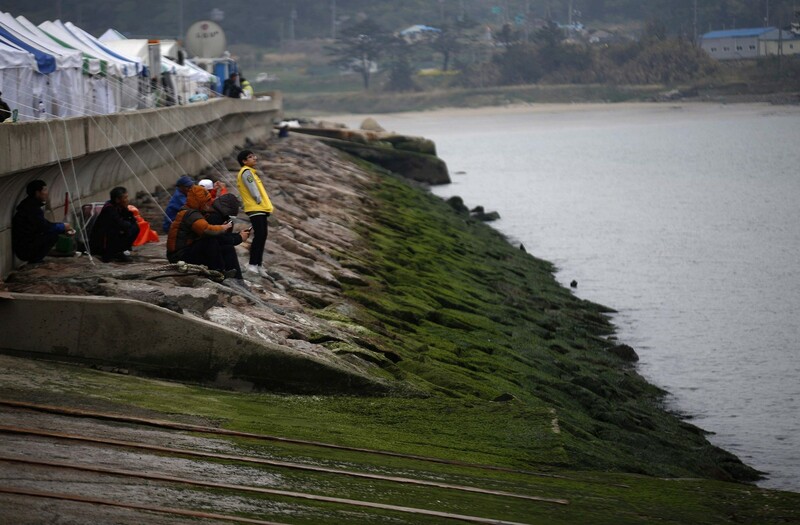 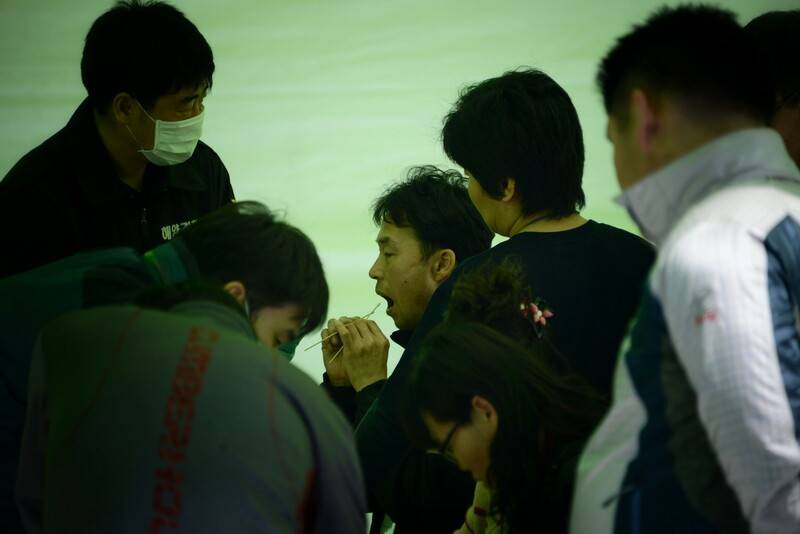 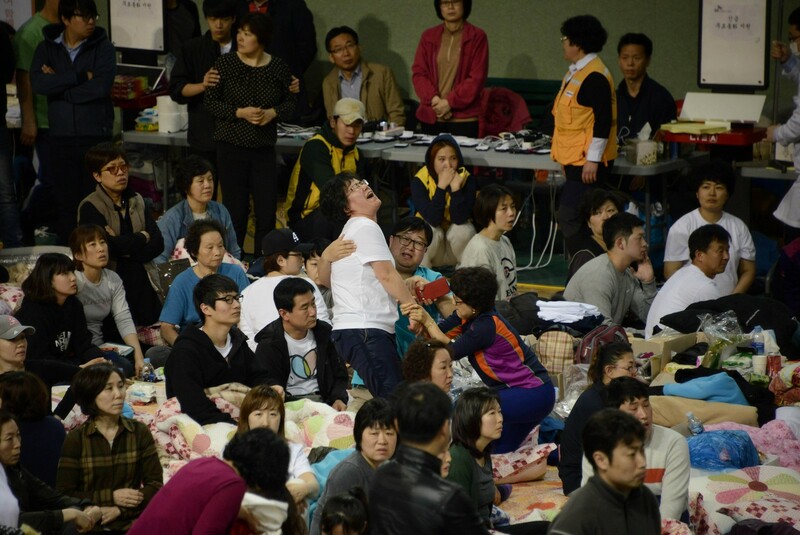 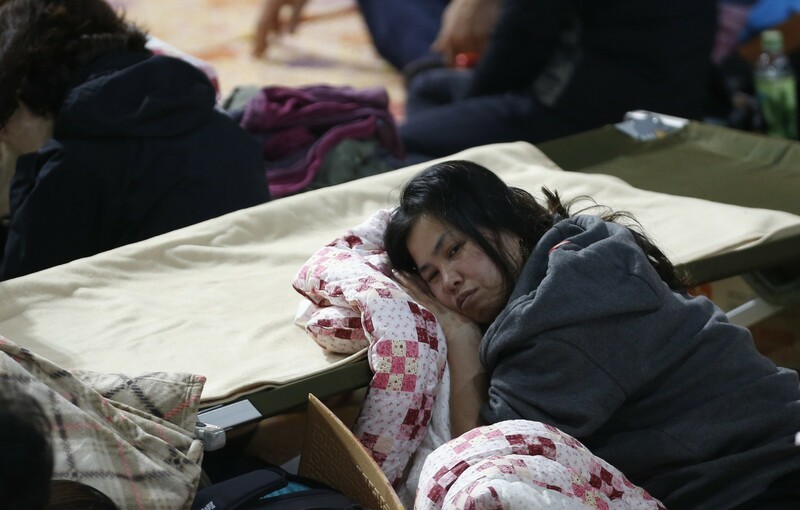 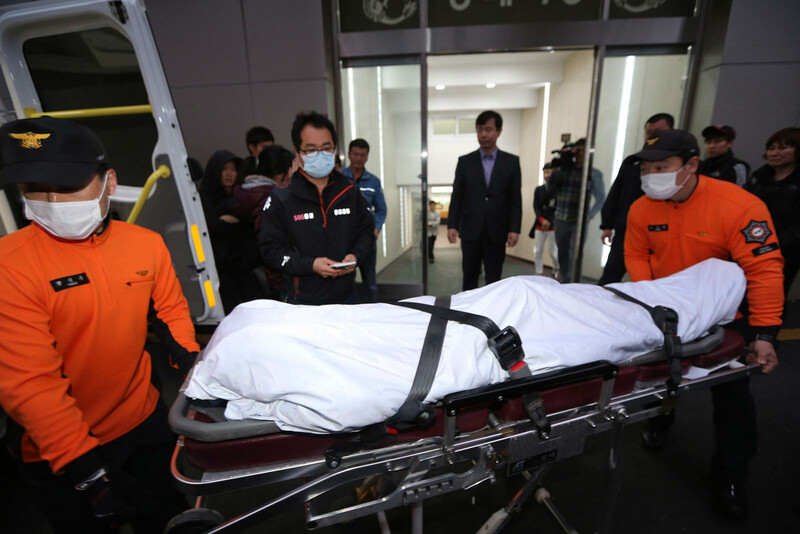 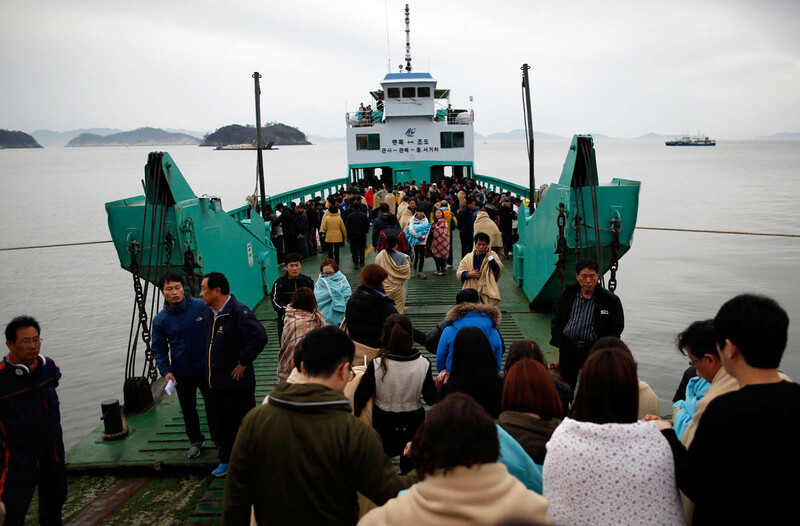 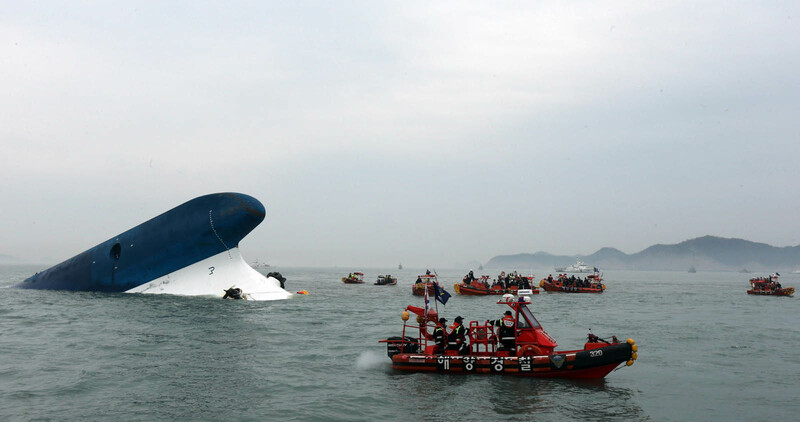 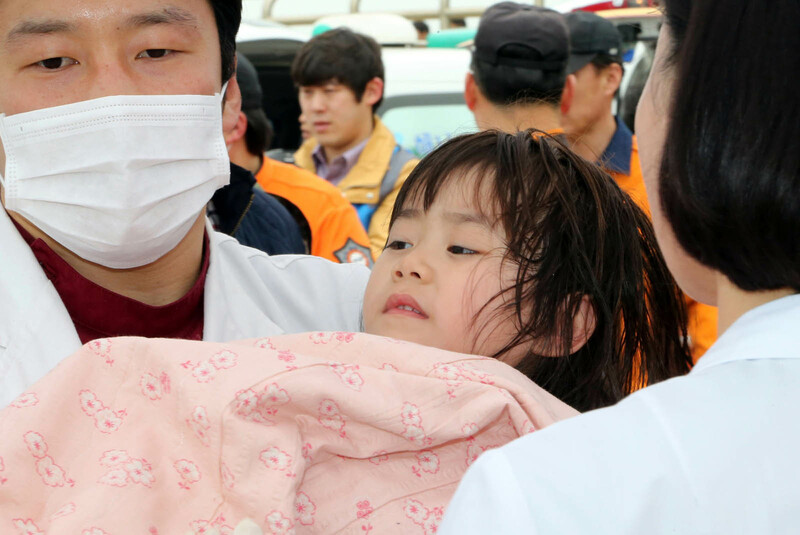 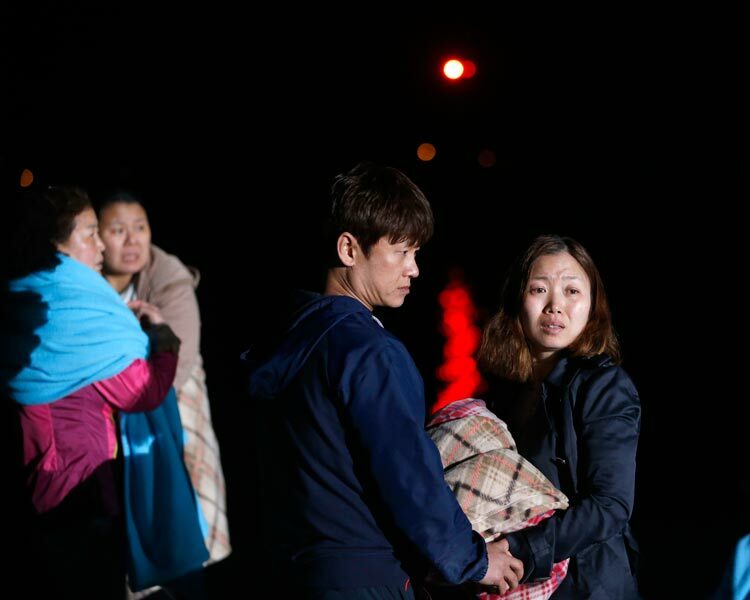 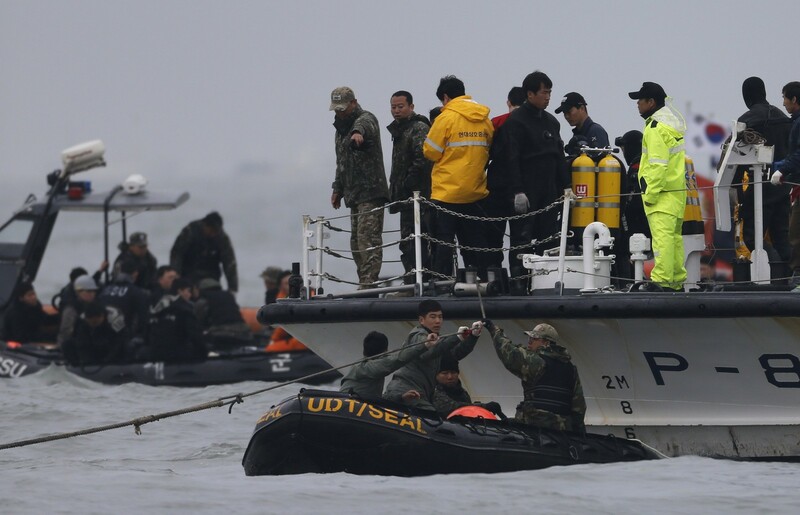 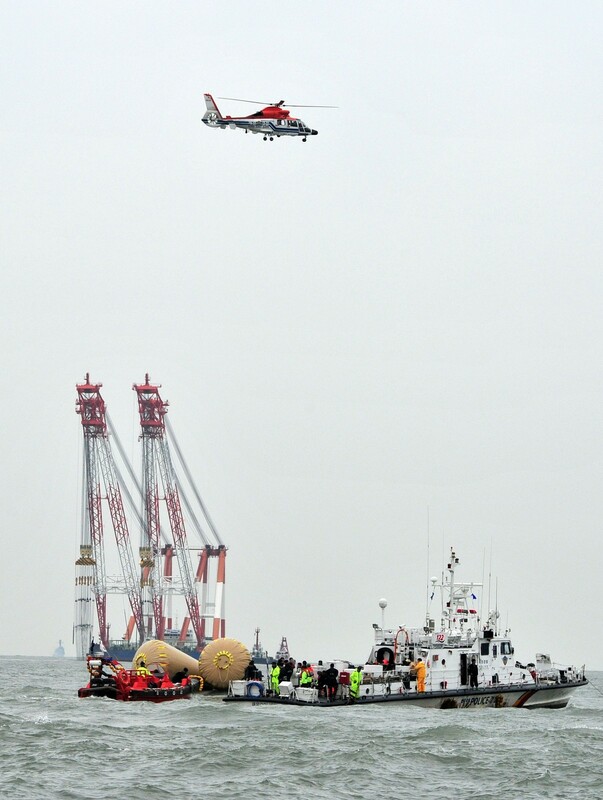 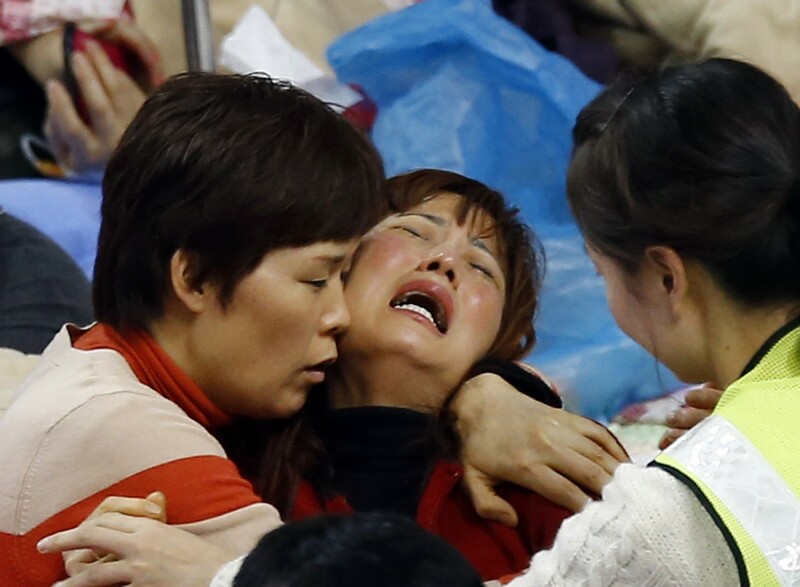 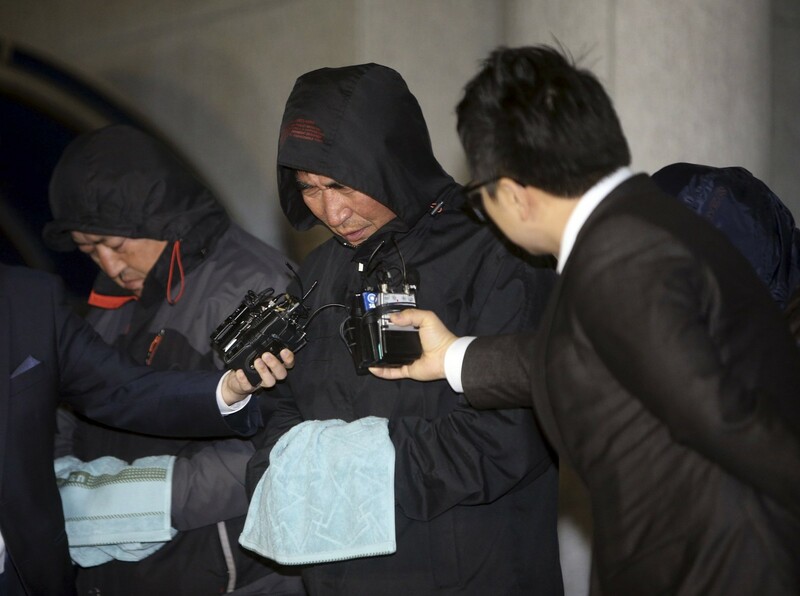 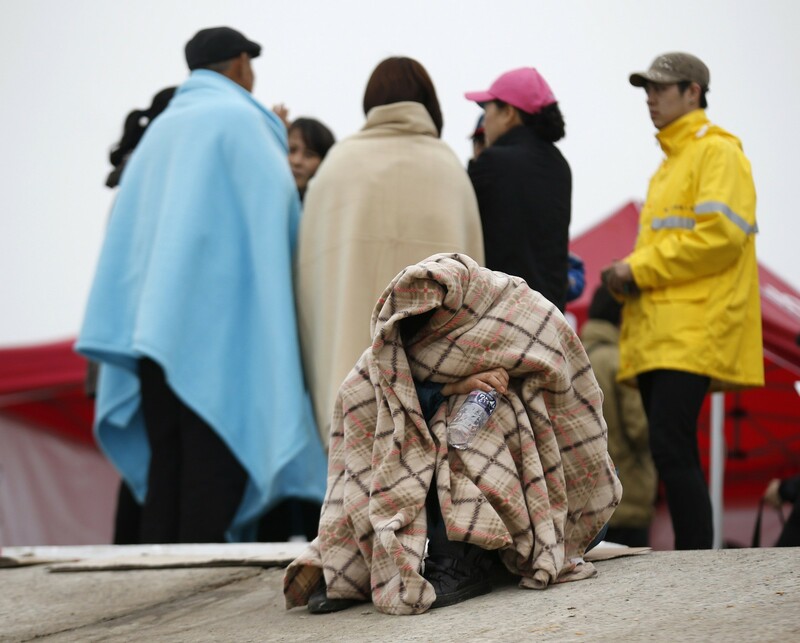 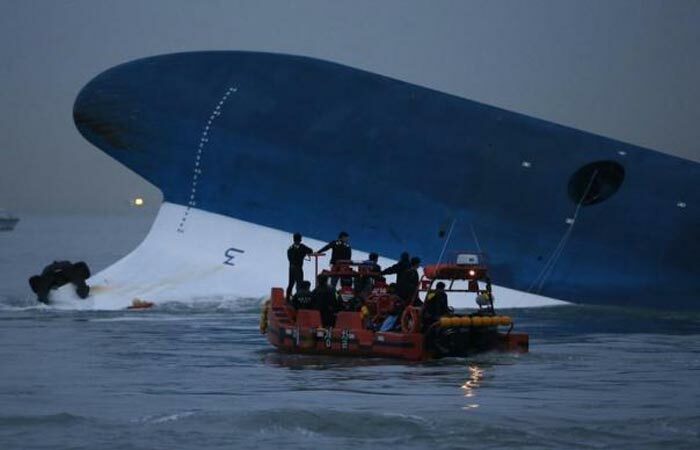 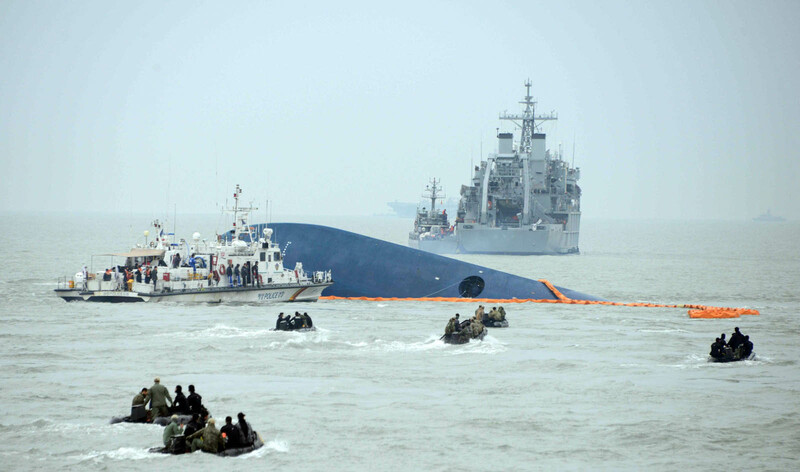 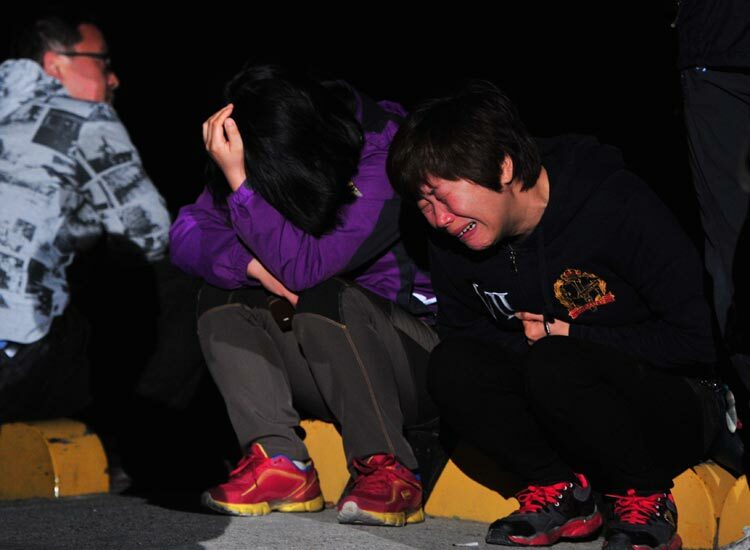 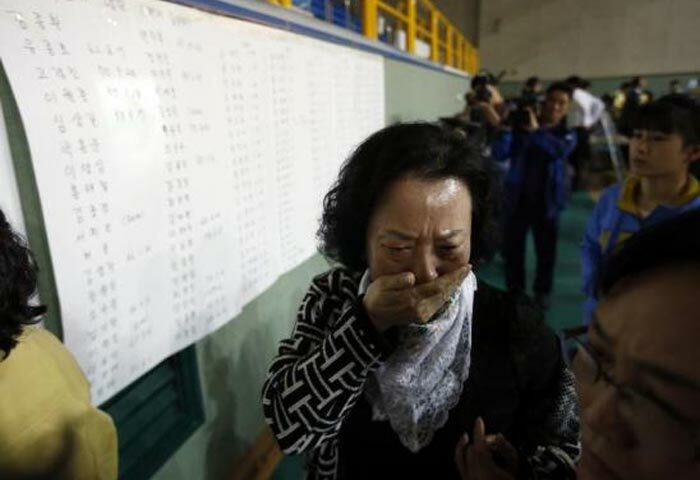 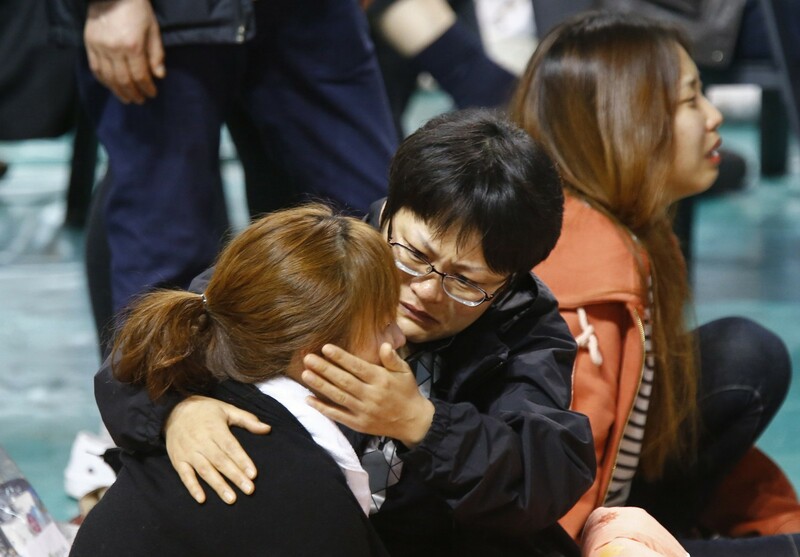 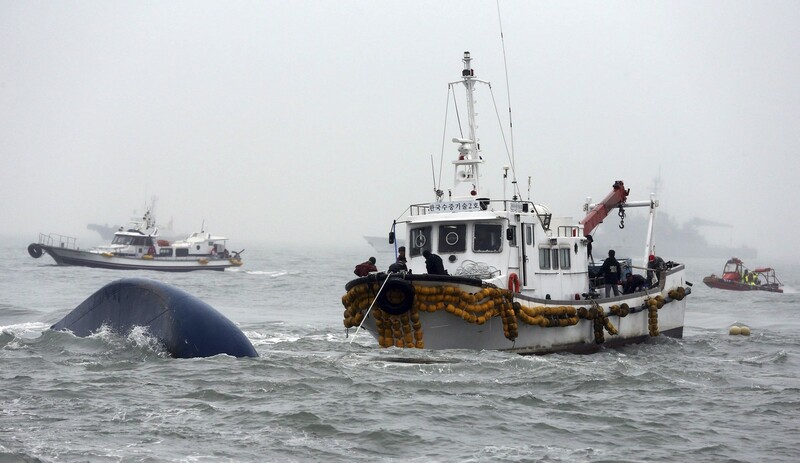 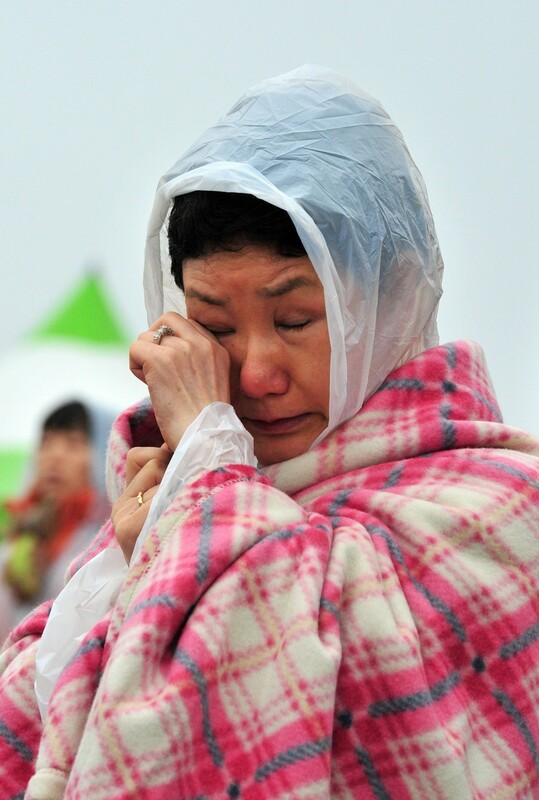 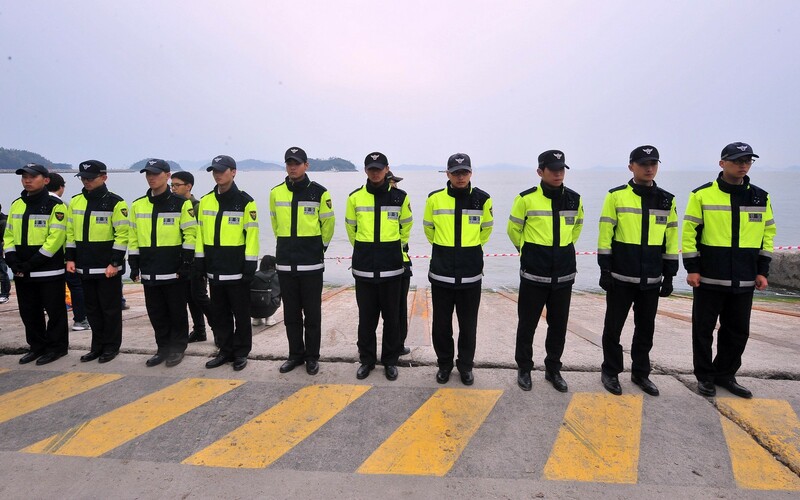 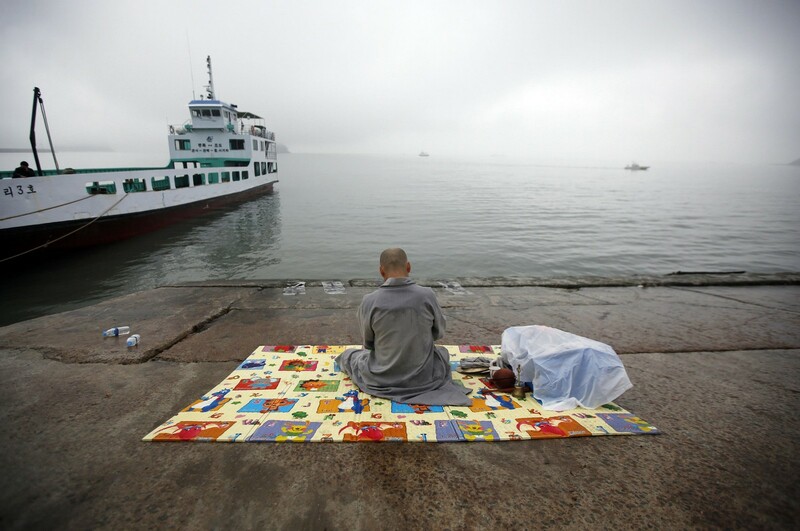 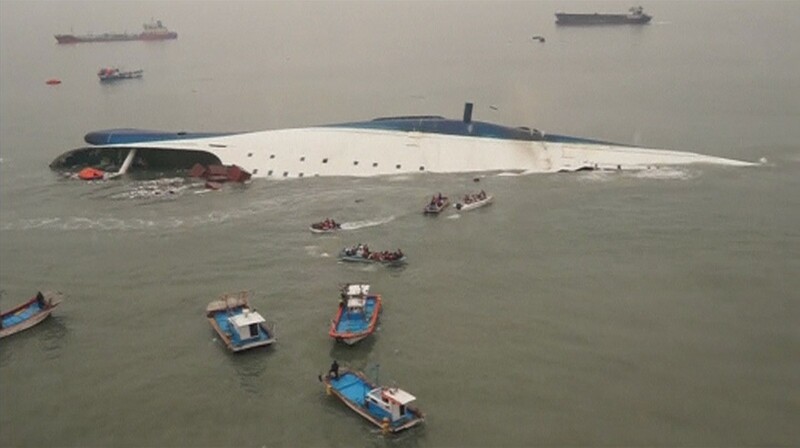 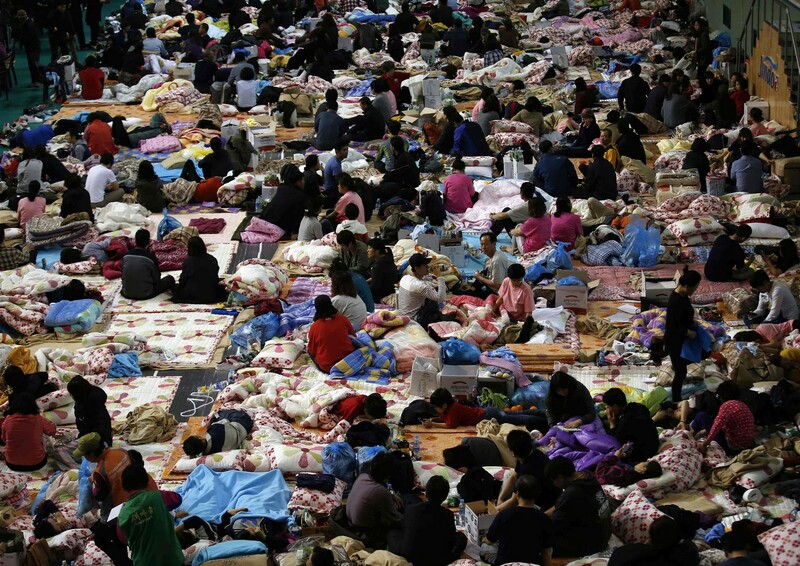 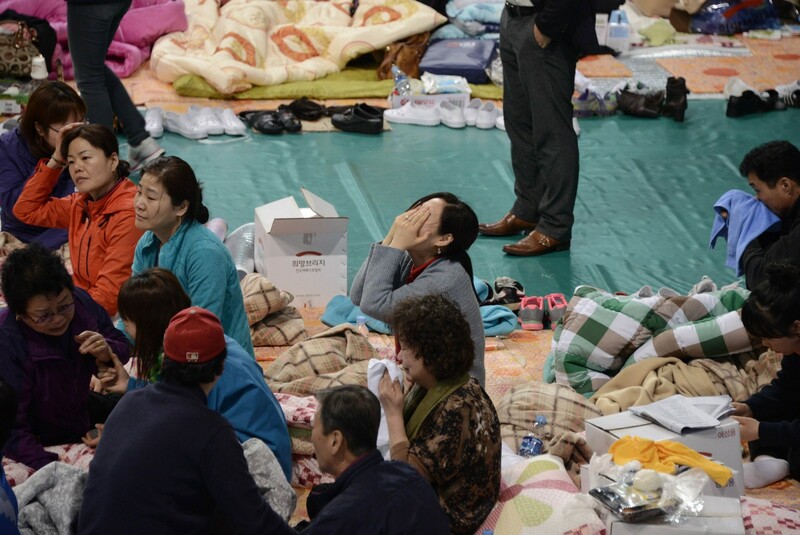 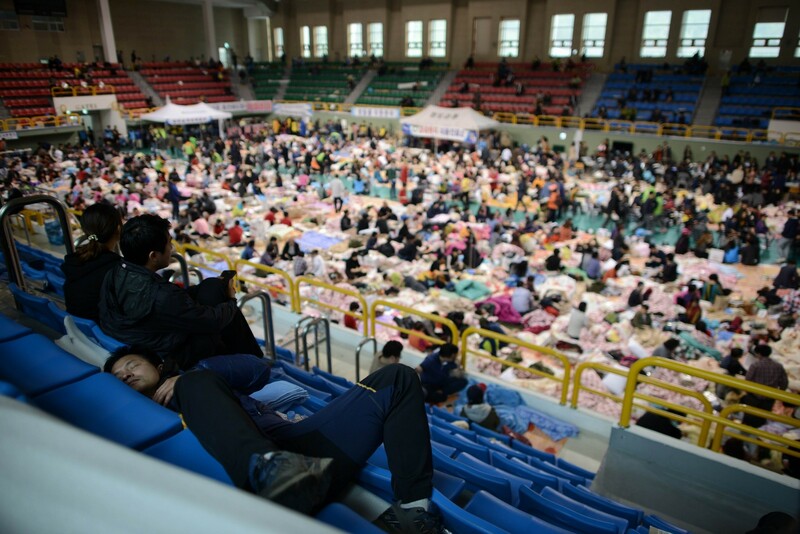 SEOUL - National shock at a ferry disaster that may have claimed the lives of hundreds of South Korean schoolchildren was mixed with fury Thursday at growing evidence that many passengers were denied a proper chance to escape the sinking vessel. Multiple survivor testimony highlighted the fact that passengers were repeatedly told to stay in their seats or cabins when the ferry first ran into trouble on Wednesday morning. 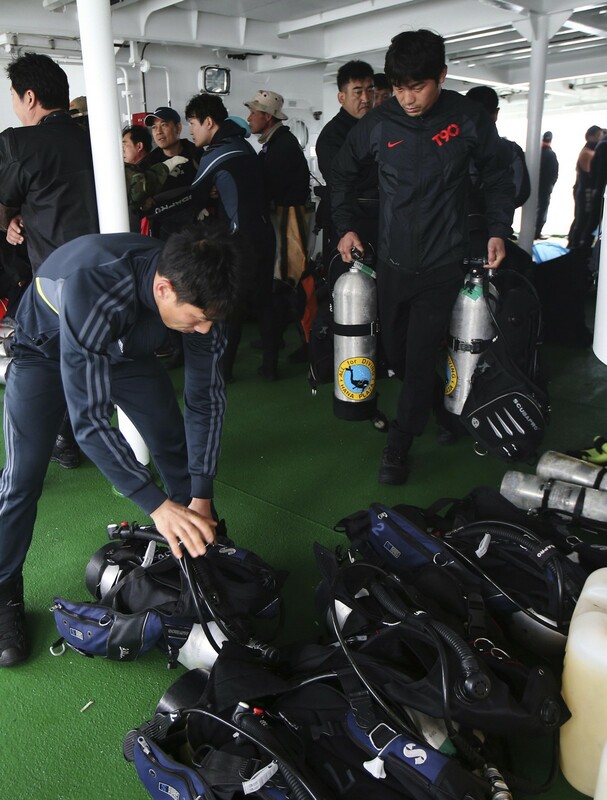 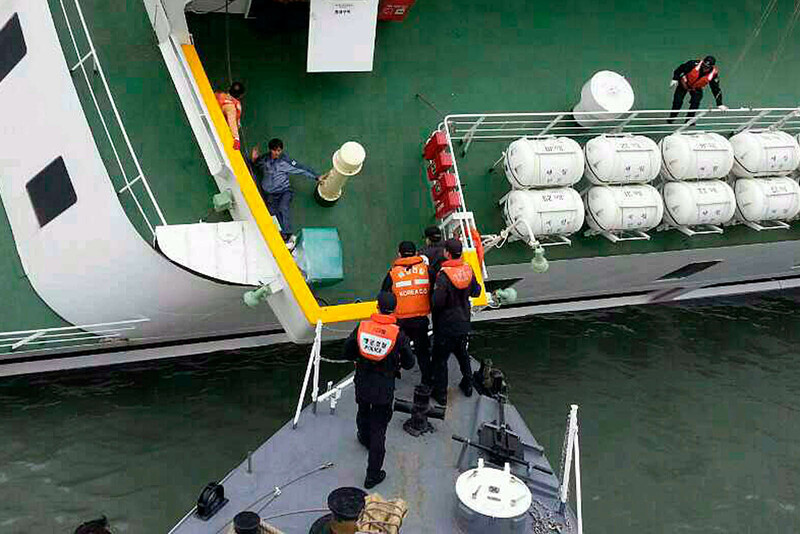 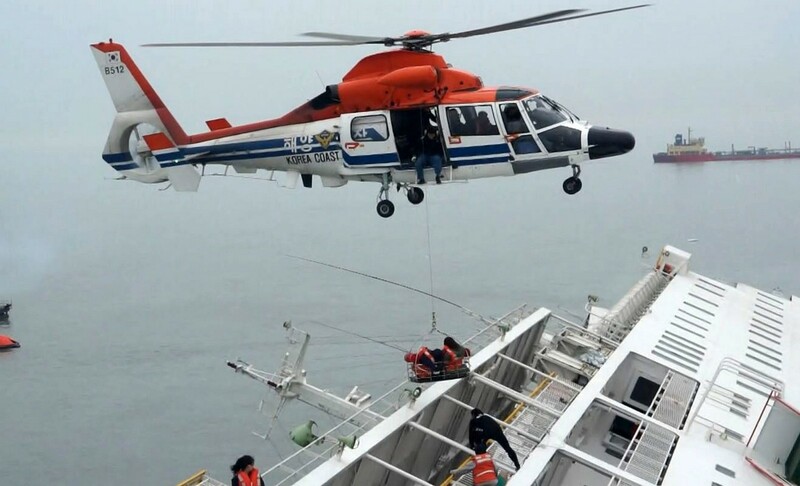 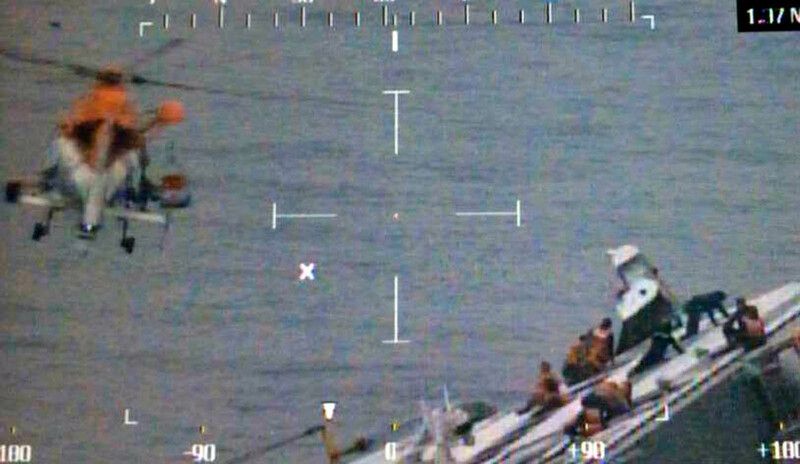 Those who obeyed found their possible escape route severely compromised after the vessel suddenly listed sharply to the port side, triggering total panic. 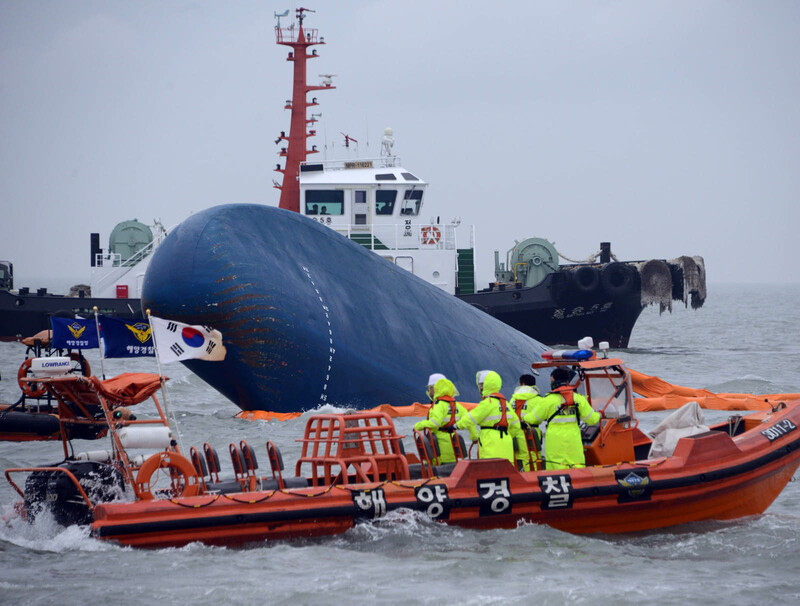 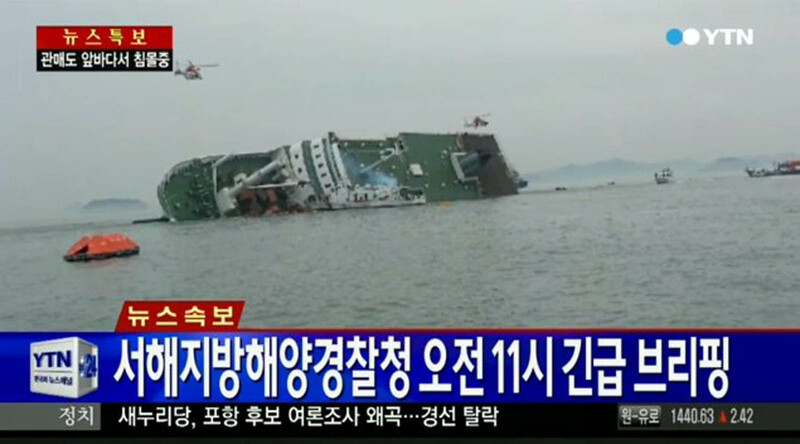 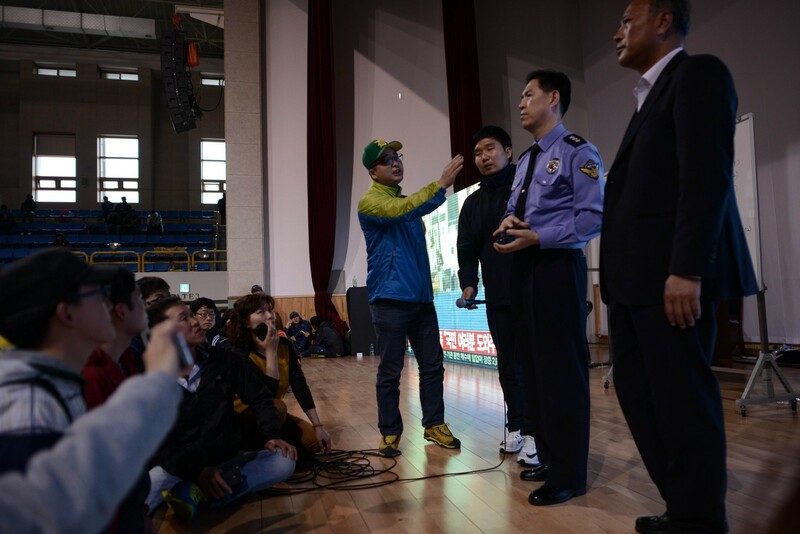 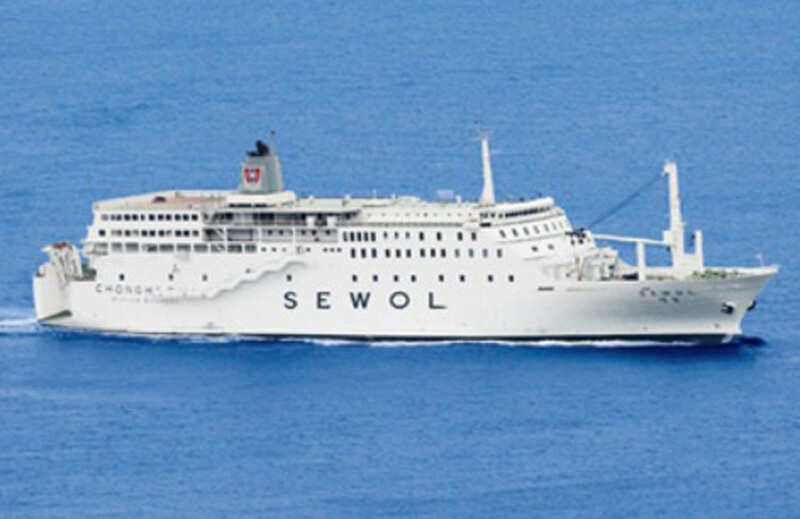 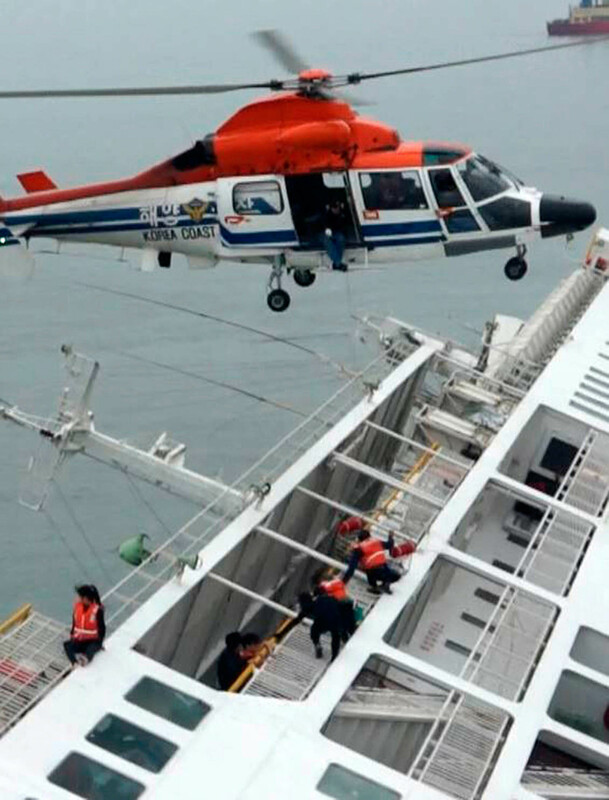 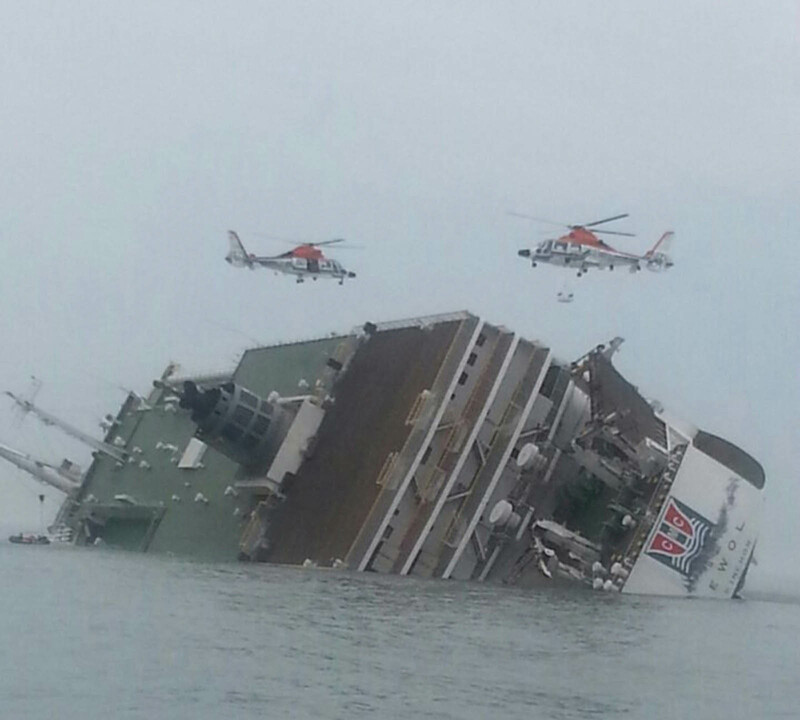 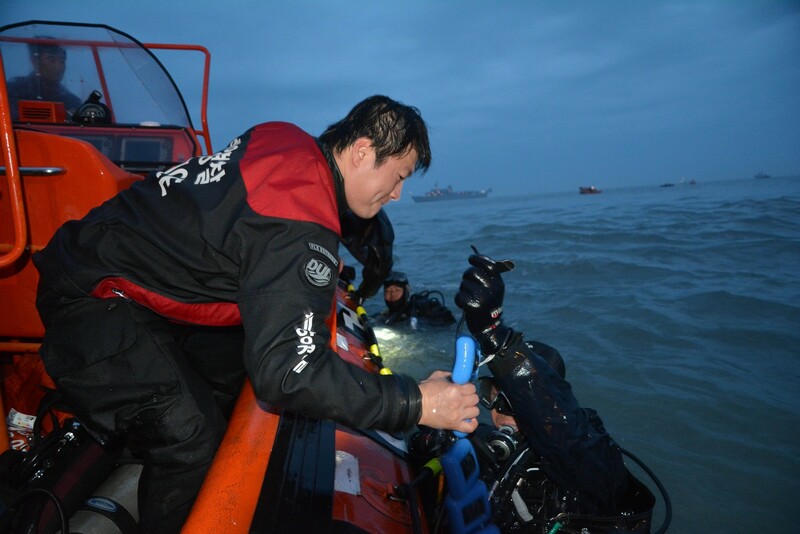 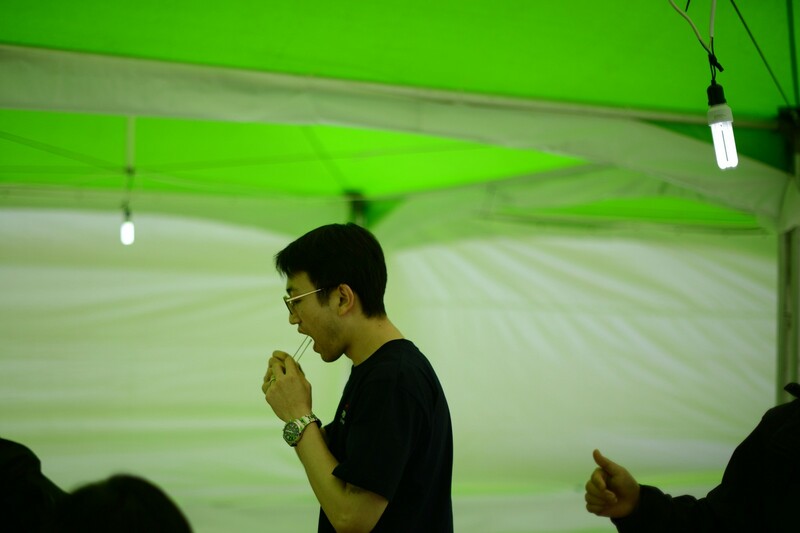 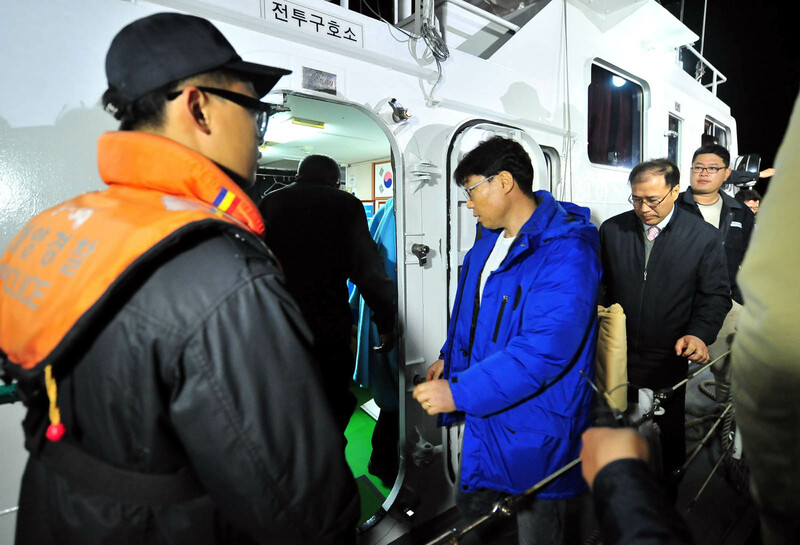 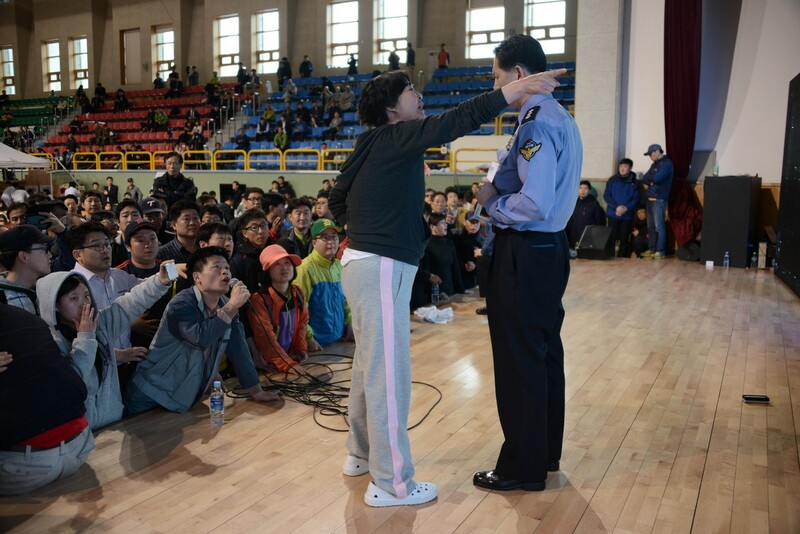 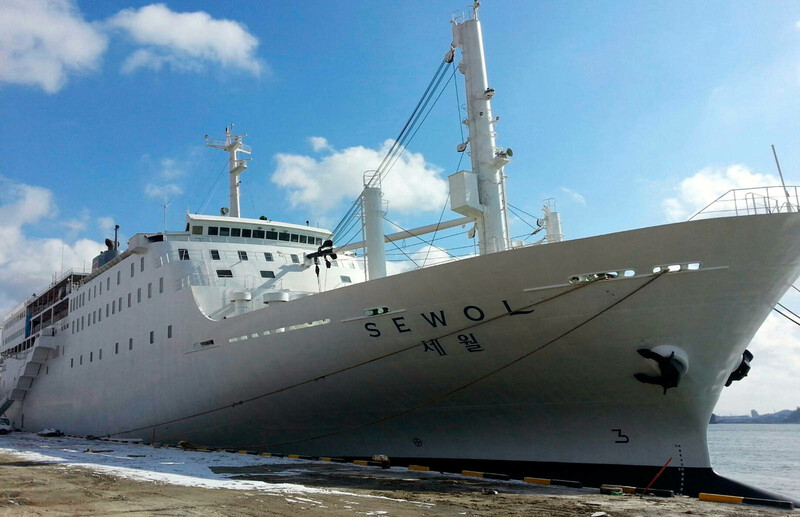 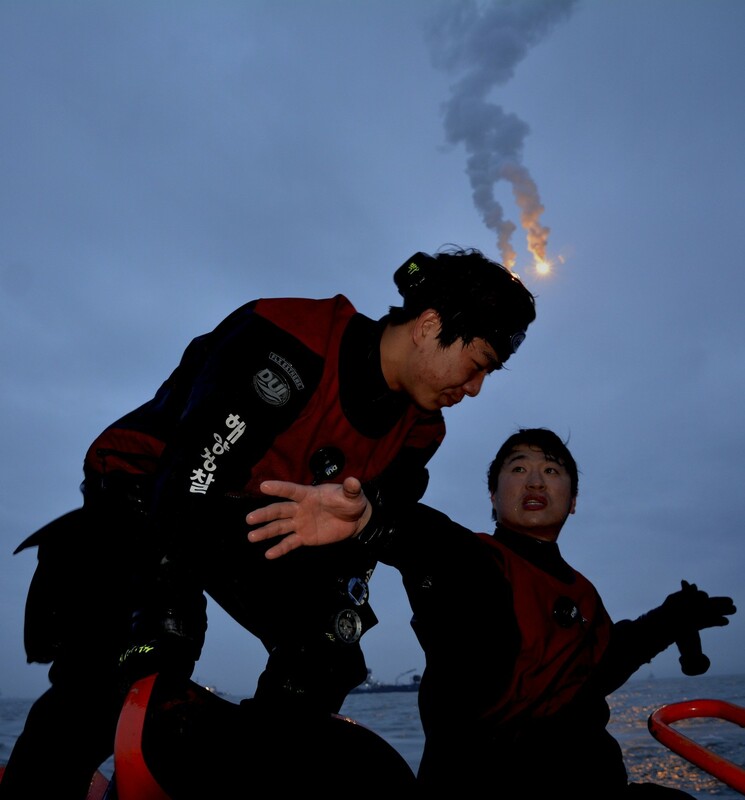 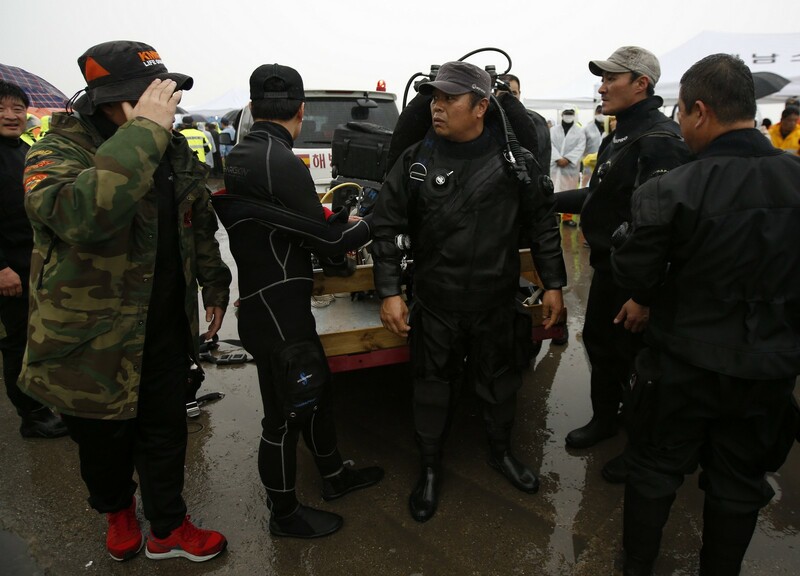 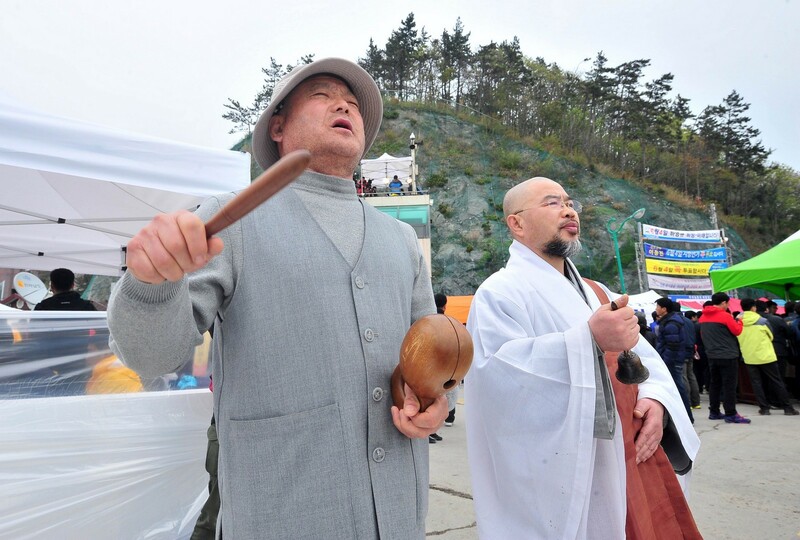 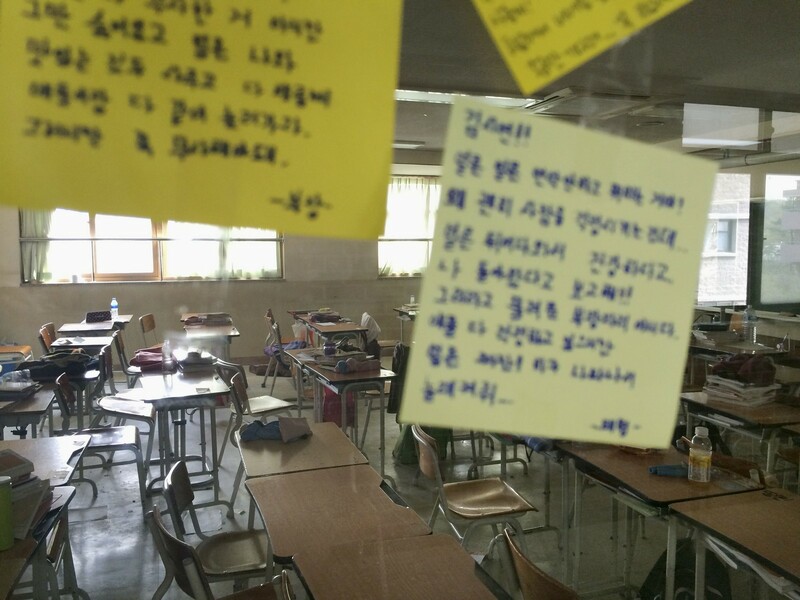 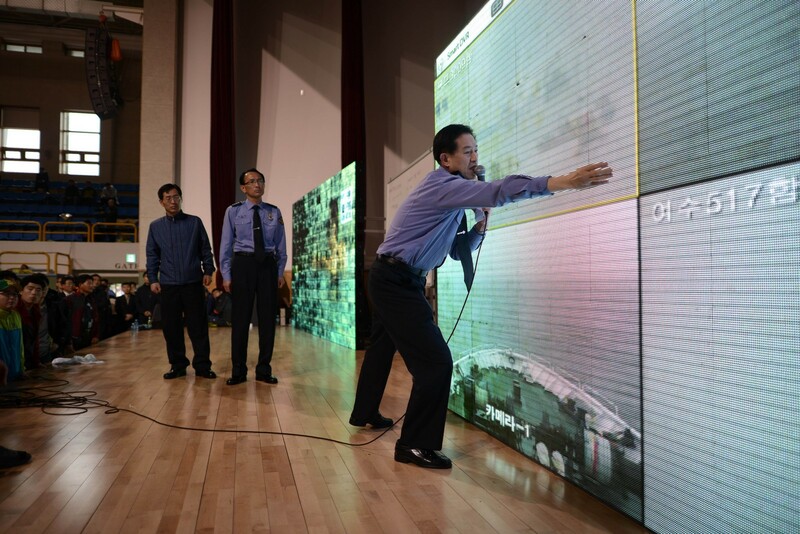 One survivor named Kim Sung-Mook said he had struggled to rescue around 30 high school students unable to escape from a large, open hall on the fourth level of the ship. 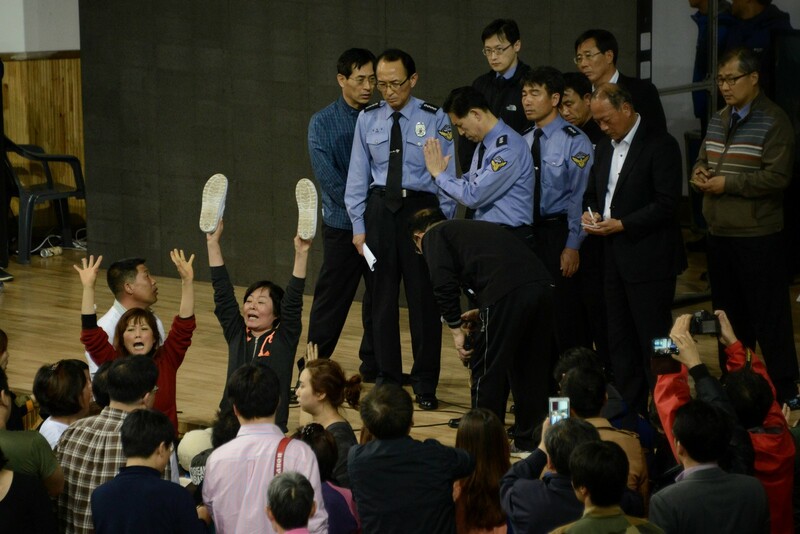 "I couldn't even get into the hall because the whole thing was leaning over so badly," Kim said. 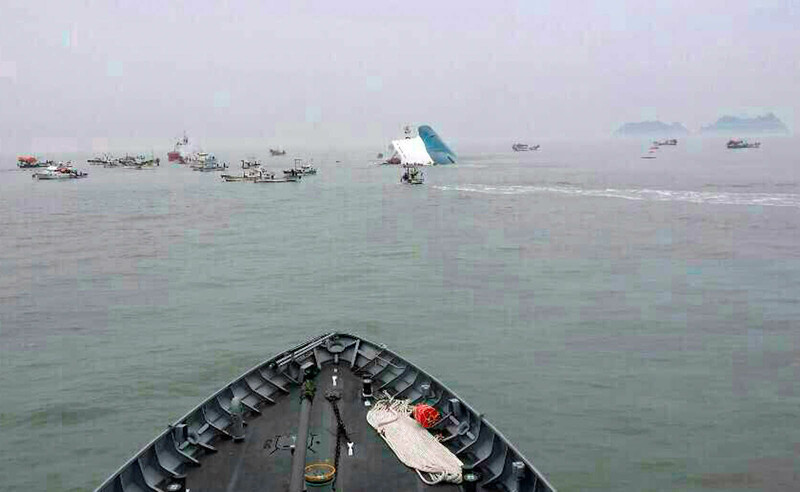 "The ship was going underwater and there was nothing for them to hold on to with their hands. 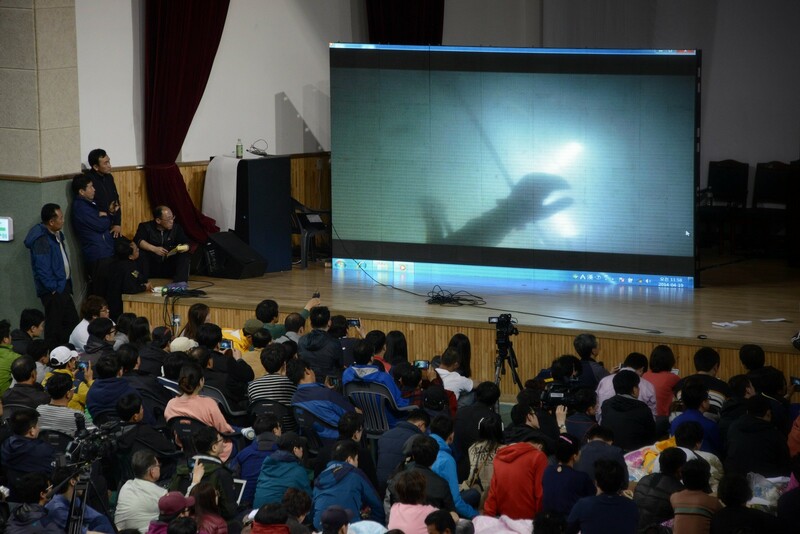 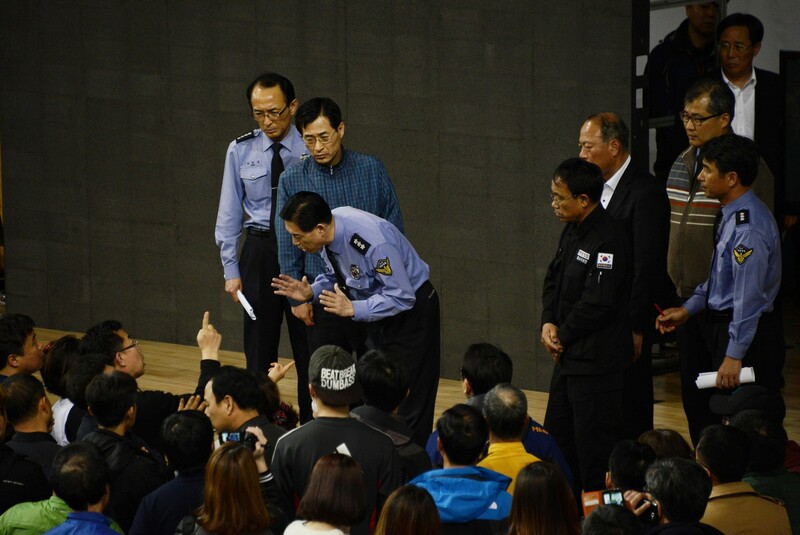 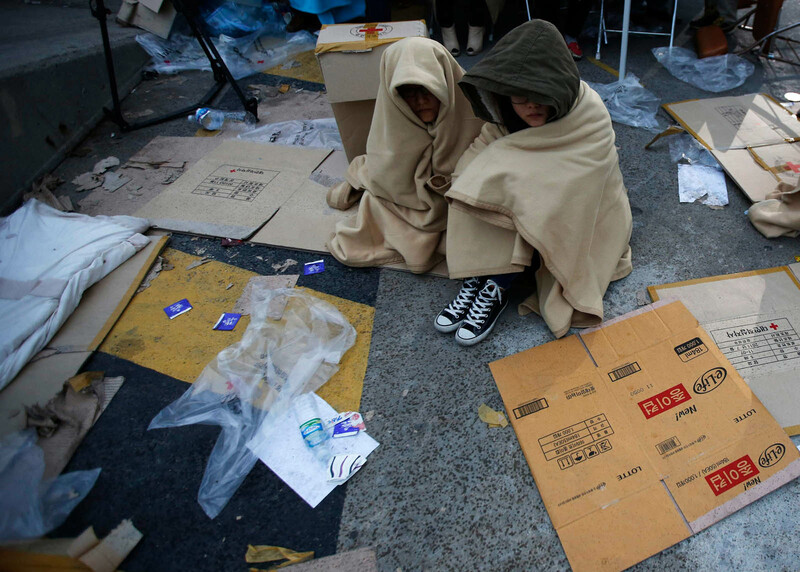 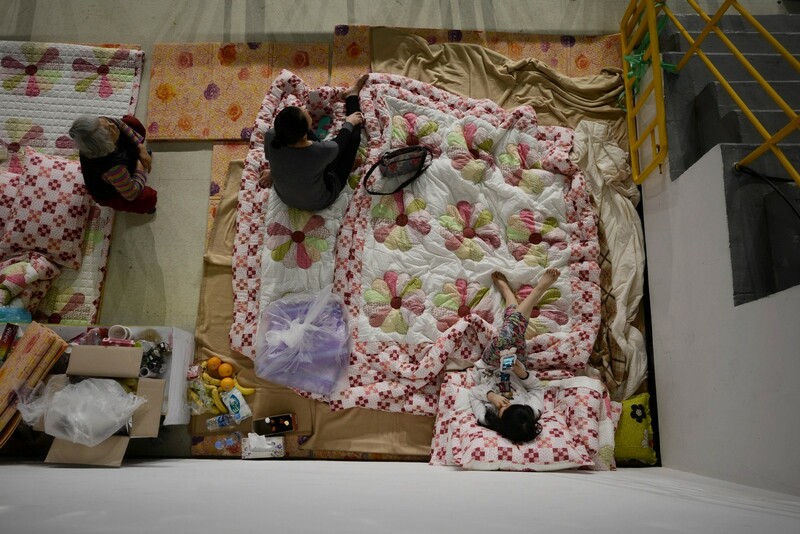 They couldn't crawl up the floor, because it was wet and at such a sharp angle," he said. 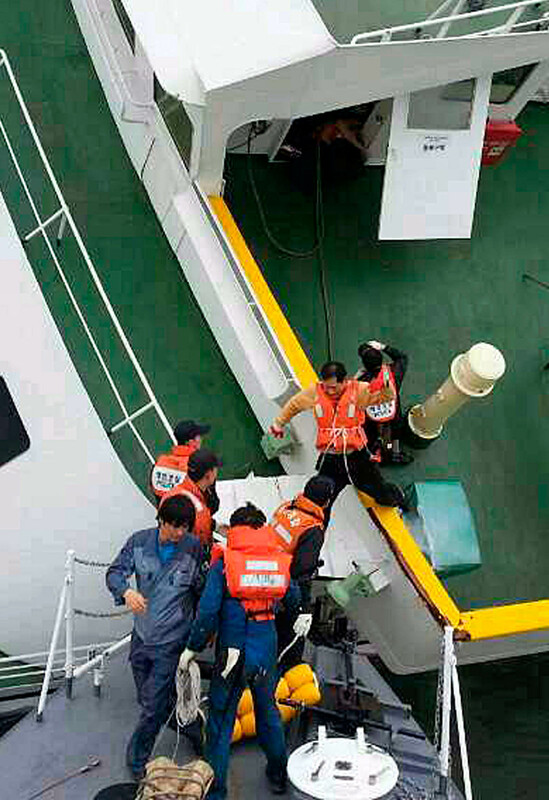 Using a fire hose he managed to pull a few to safety, "but there were so many of them ... 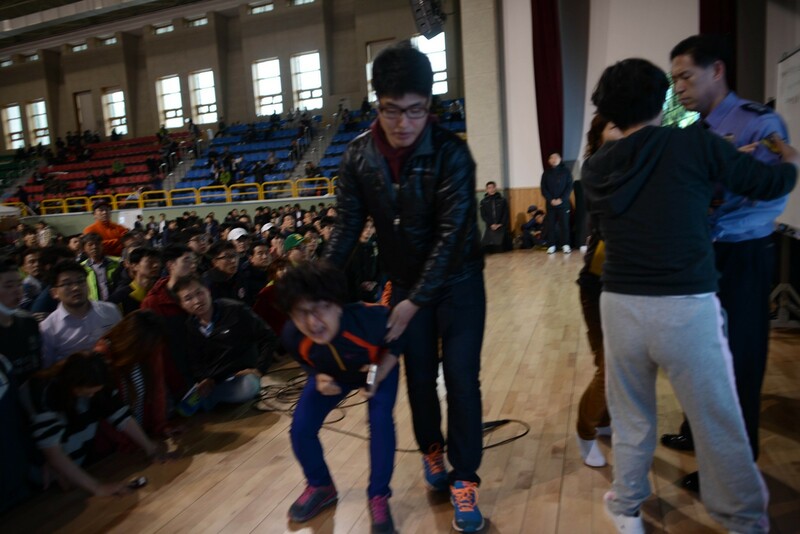 I couldn't help them all." 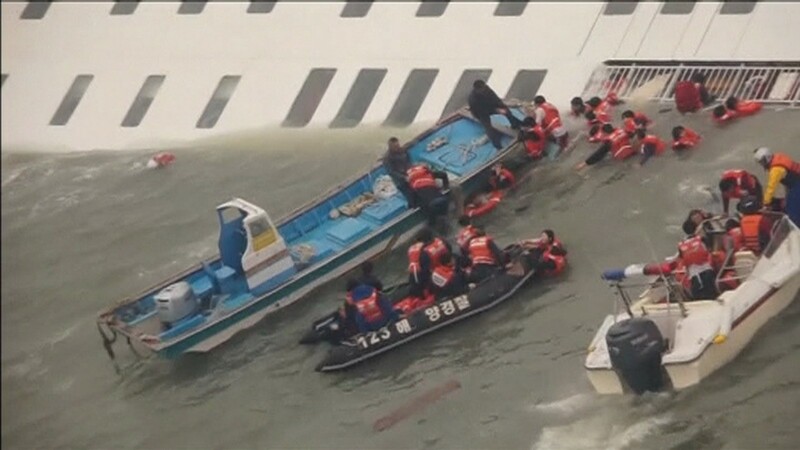 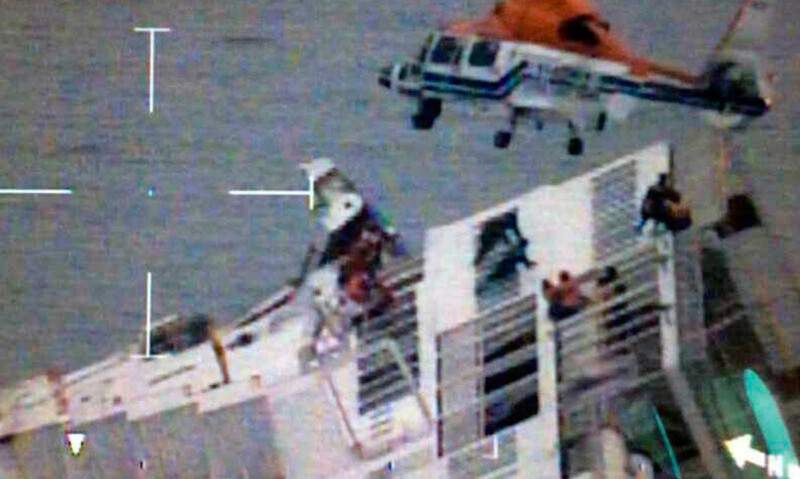 One student who was rescued said most passengers had remained in their seat for "30 to 40 minutes" after the ferry first foundered, in line with instructions they received from crew members and over the internal tannoy system. 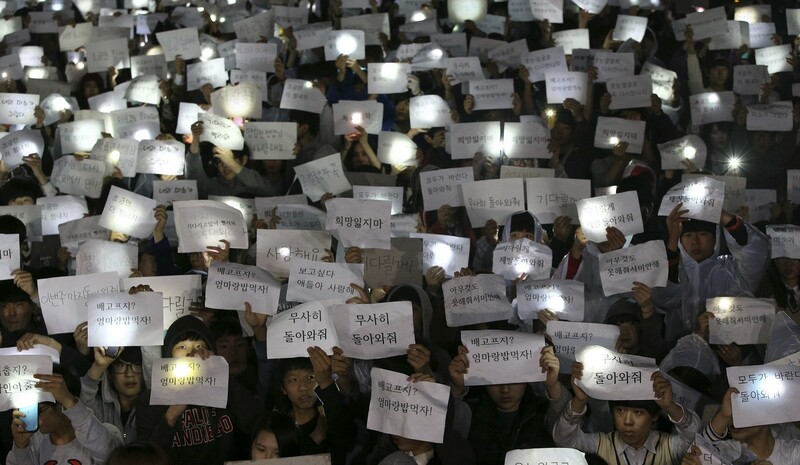 "The message was repeated again and again: 'Stay put. 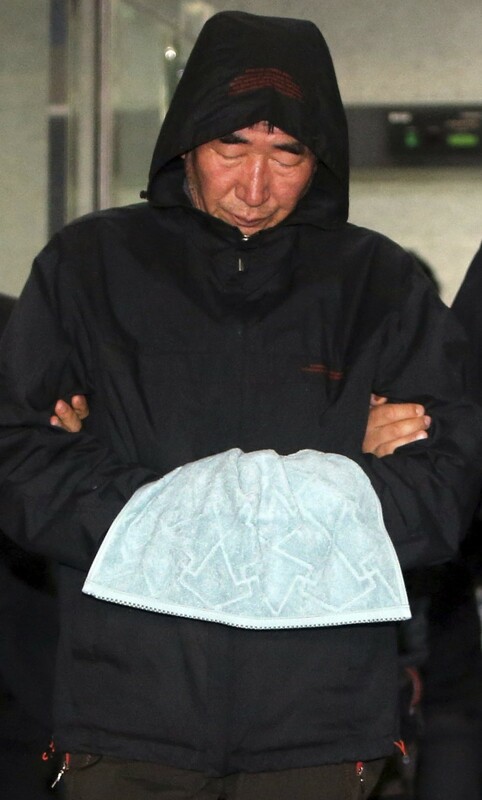 Don't move'," said another survivor Huh Young-Ki. 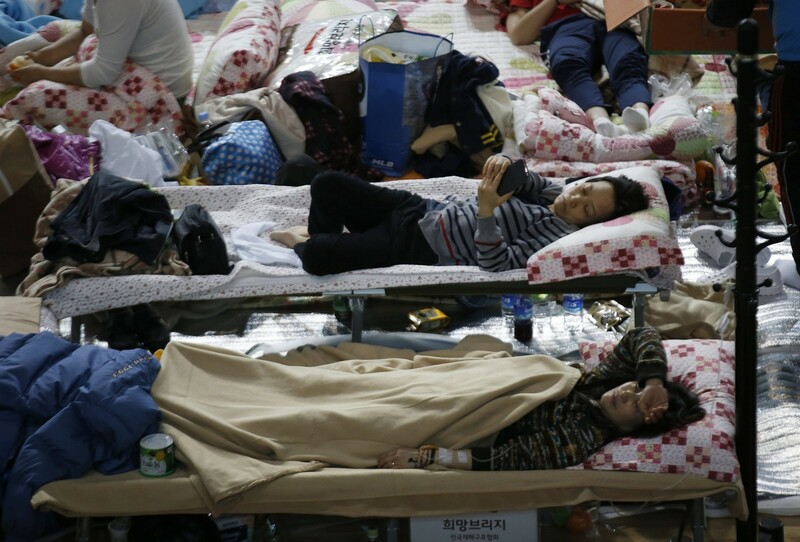 "We we're asking ourselves: 'Shouldn't we move? 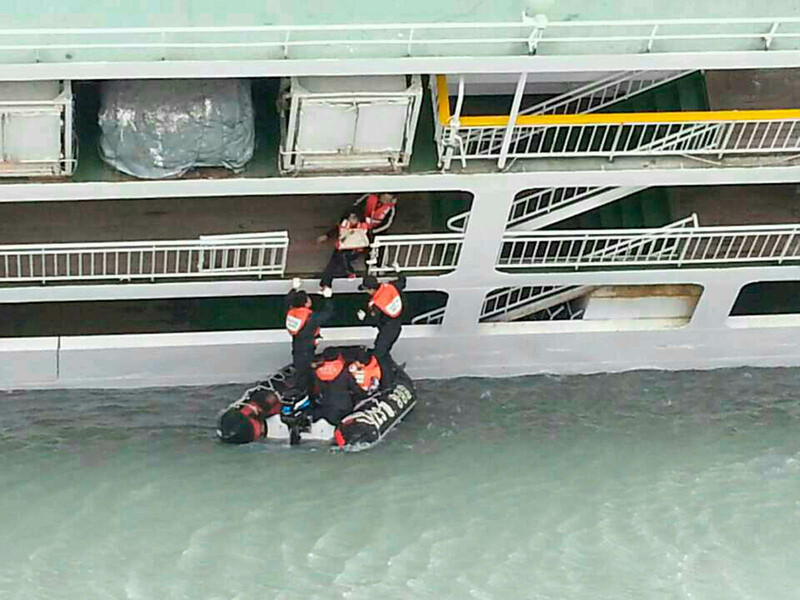 Shouldn't we try and get out?' 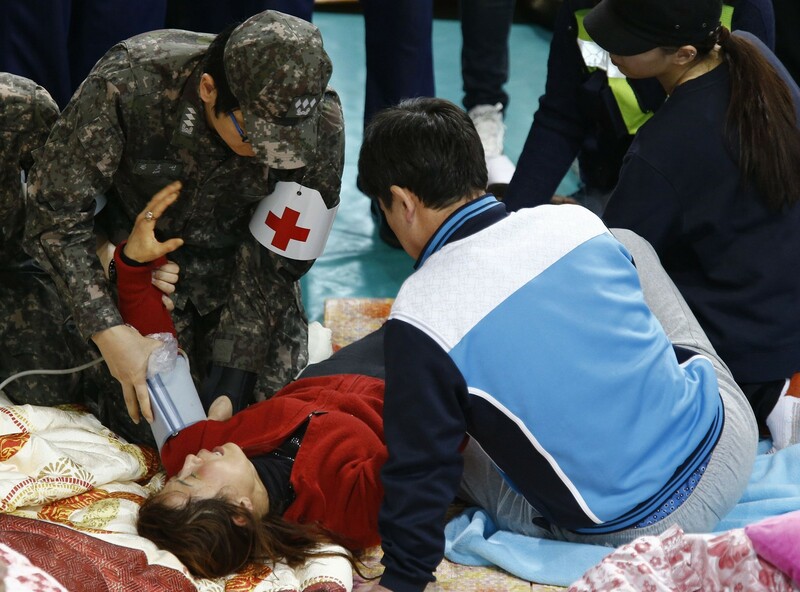 But the announcement was saying help would be there in 10 minutes," Huh told the News Y television channel.